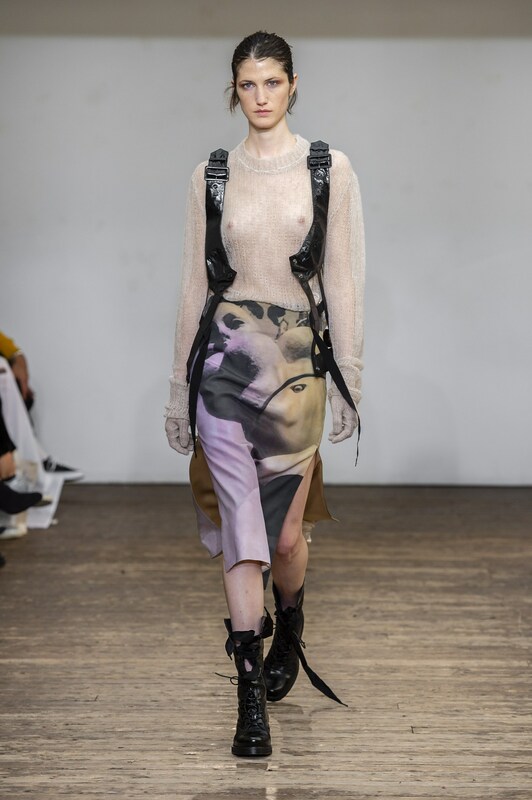 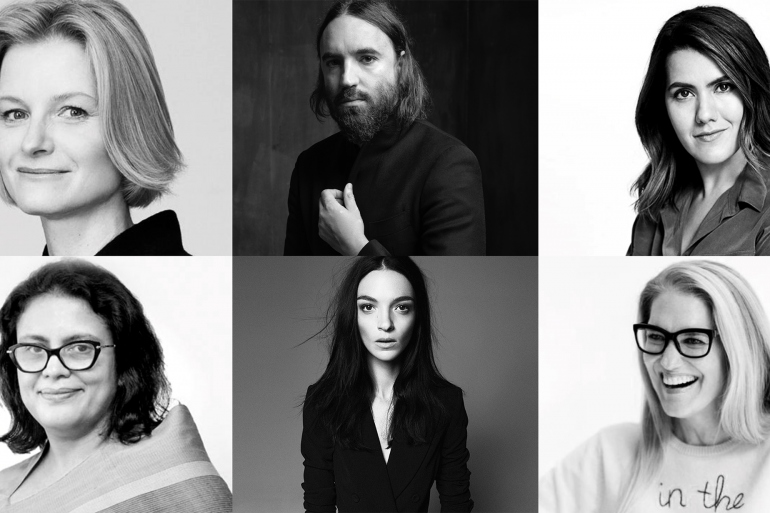 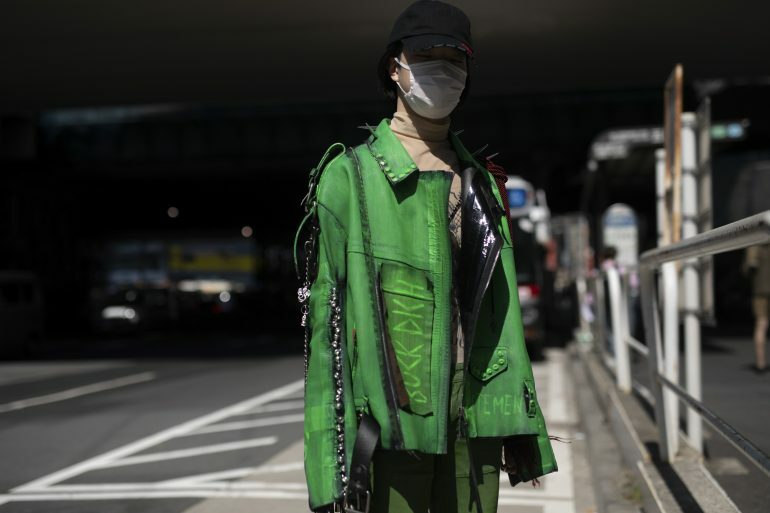 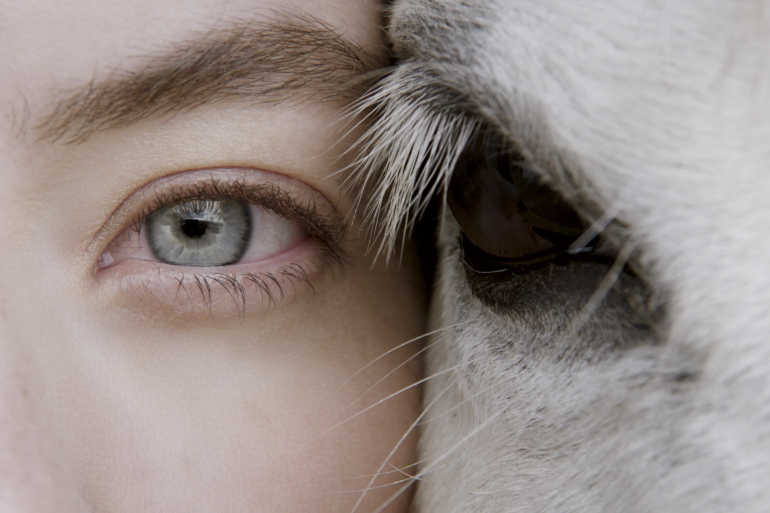 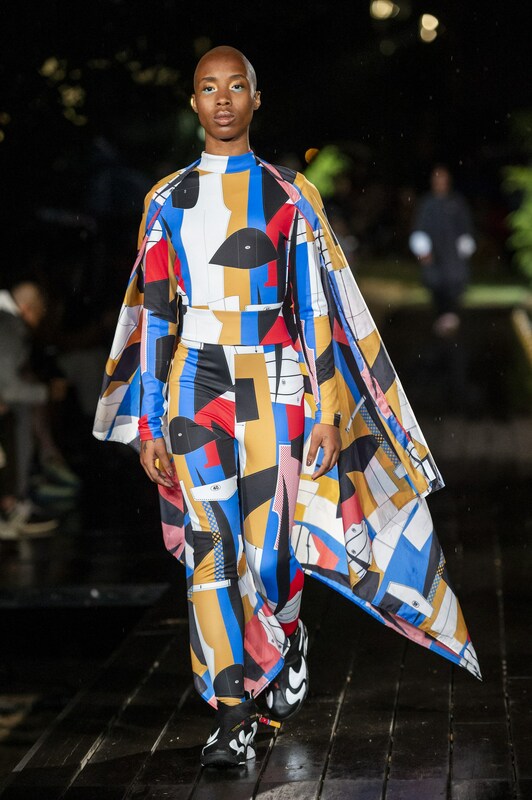 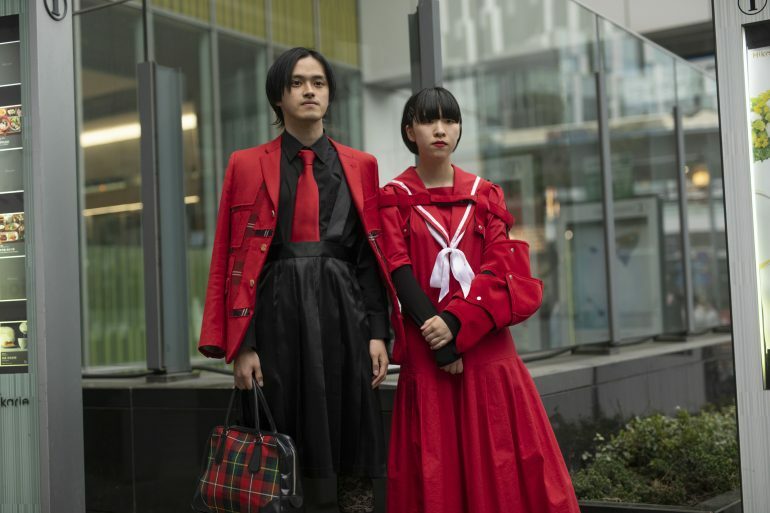 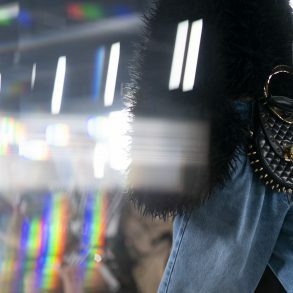 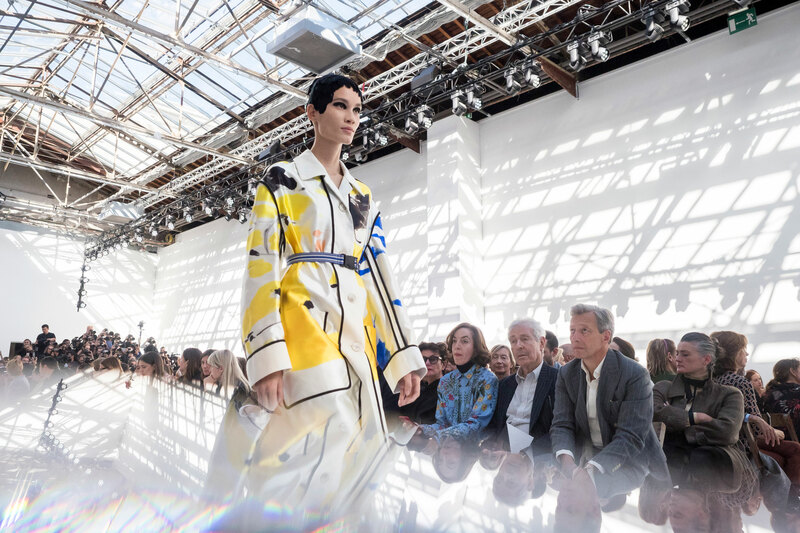 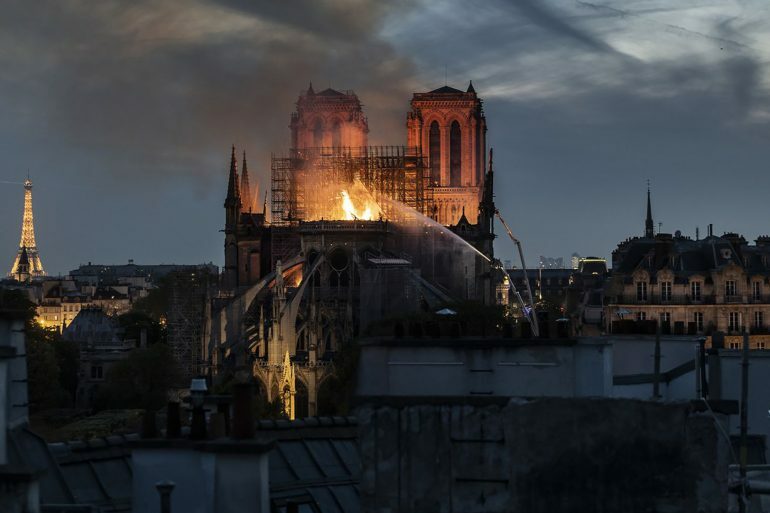 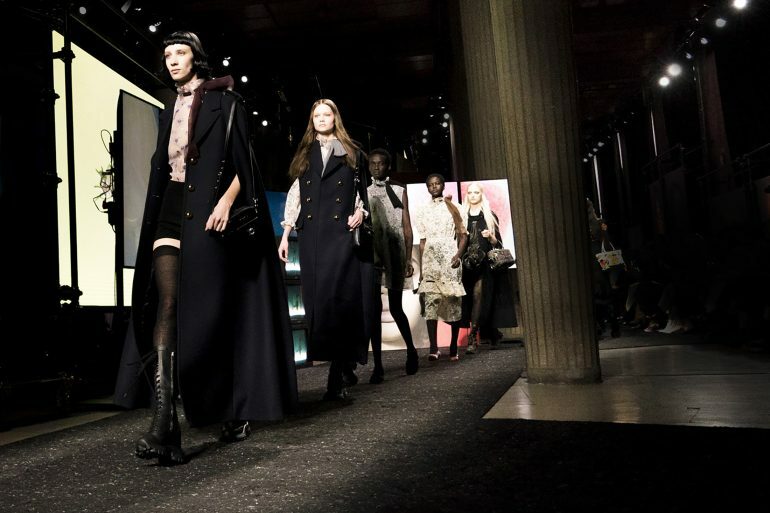 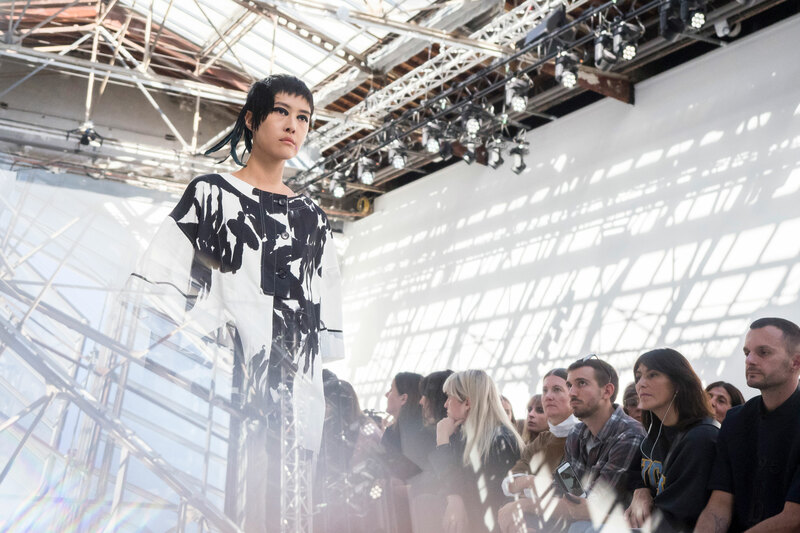 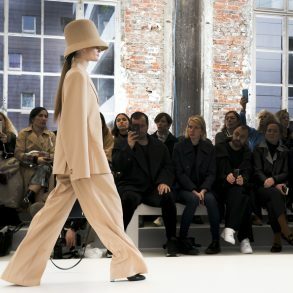 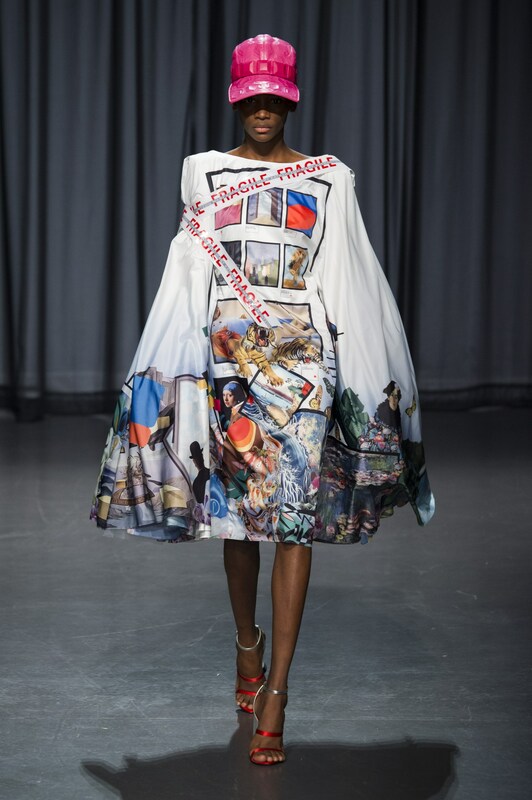 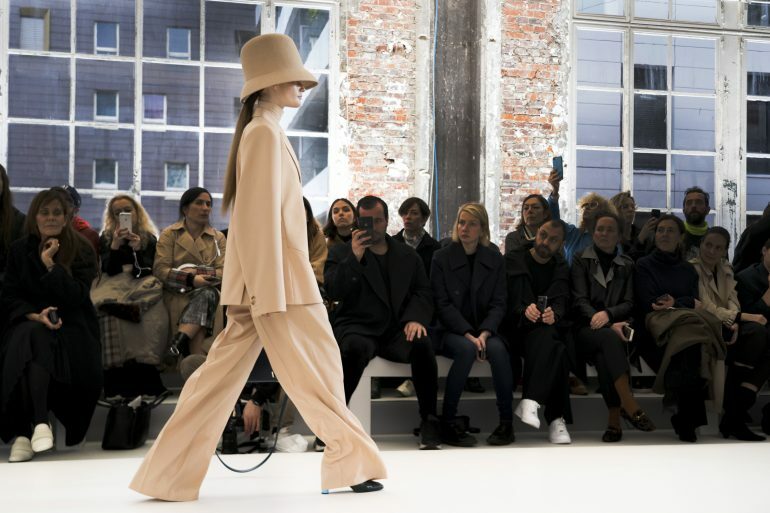 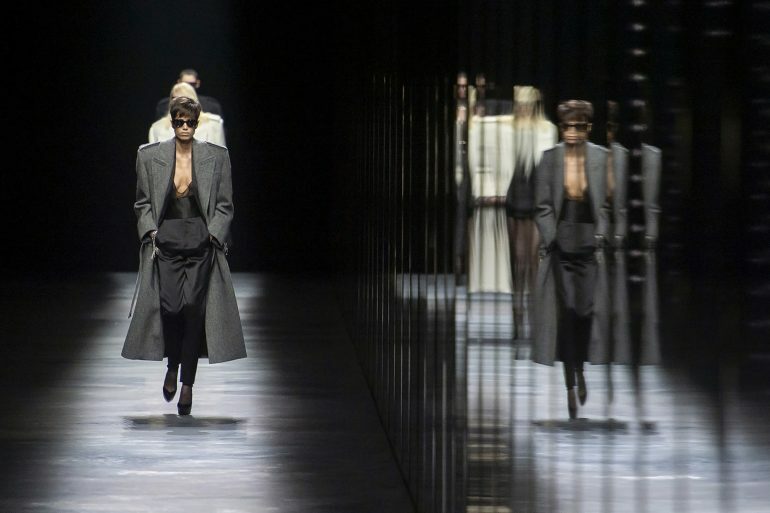 Fashion and art are typically strong bedfellows and Spring 2019 was no exception. 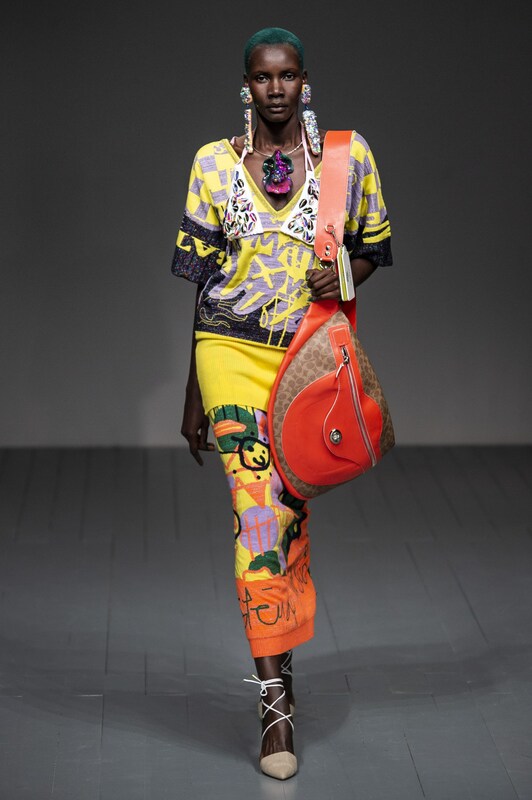 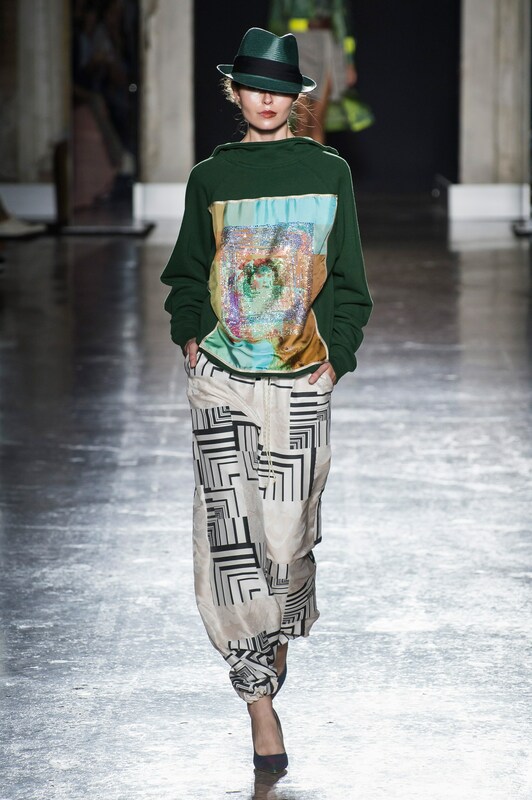 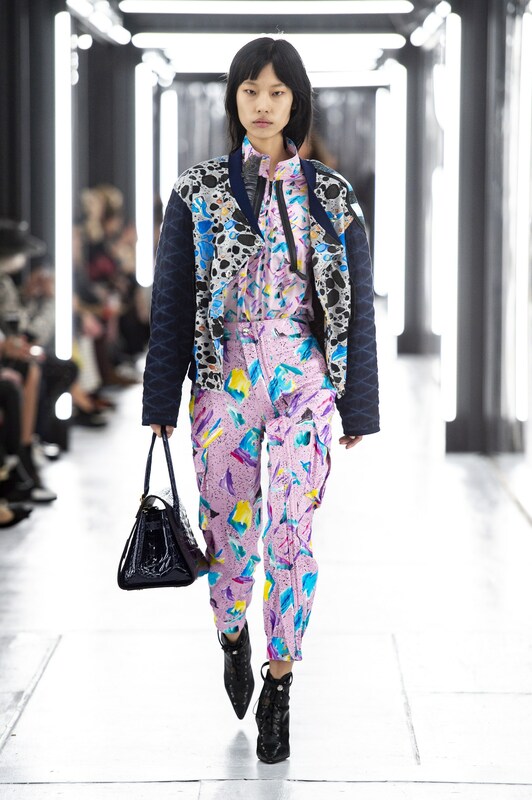 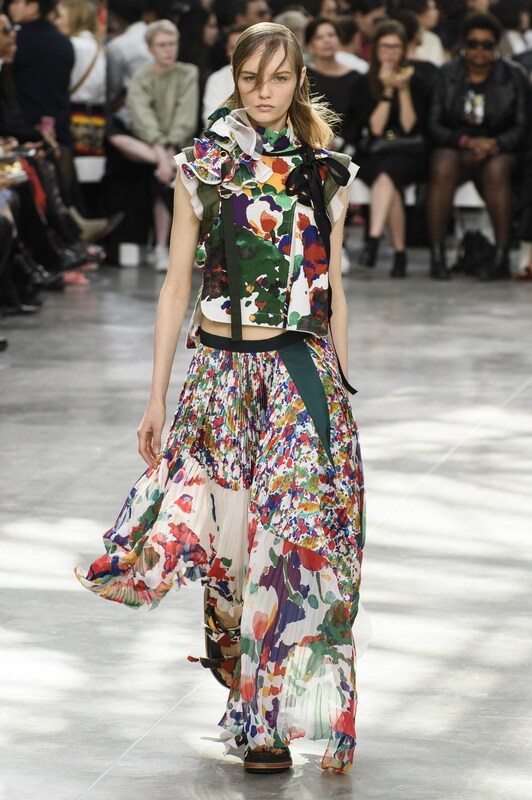 However what was of note was how designers turned to colorful and all-over abstract patterns with such frequency. 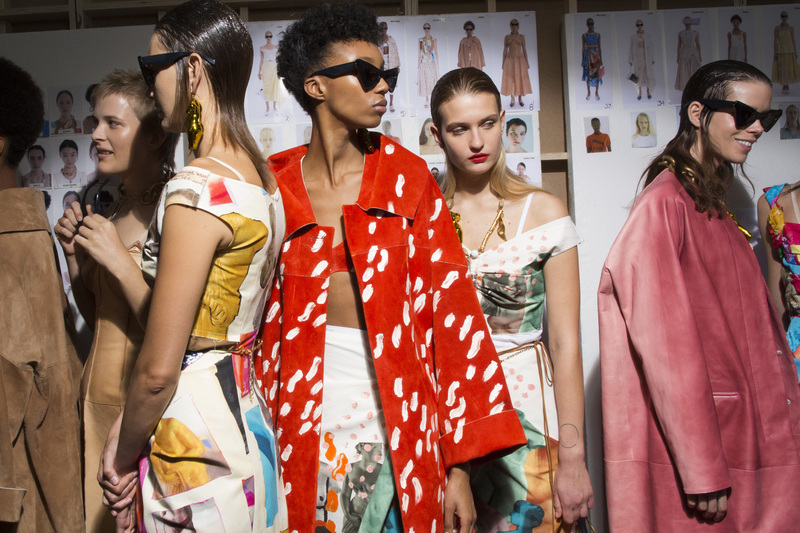 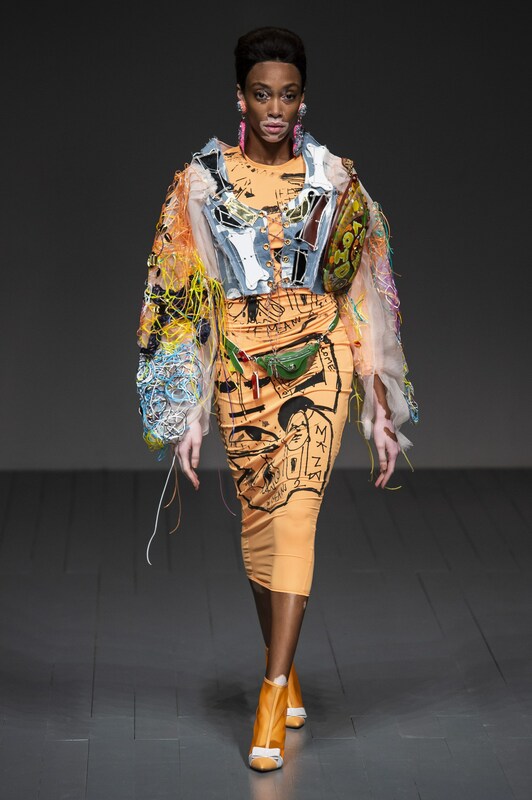 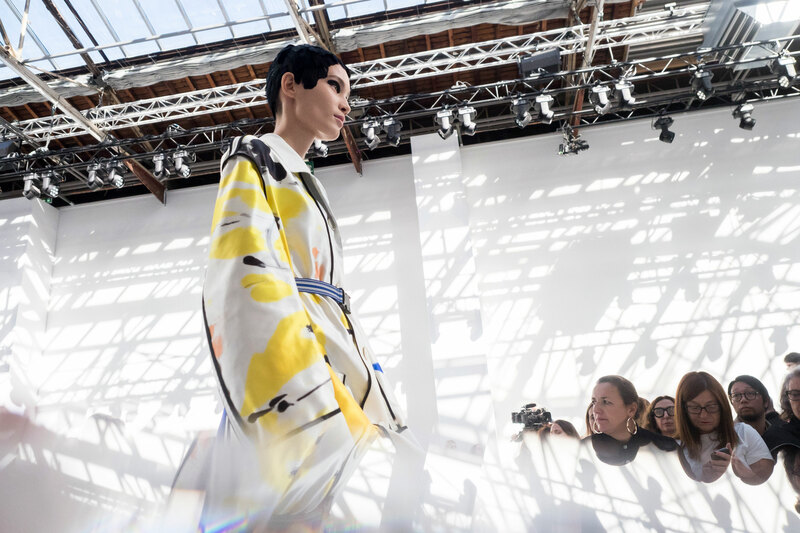 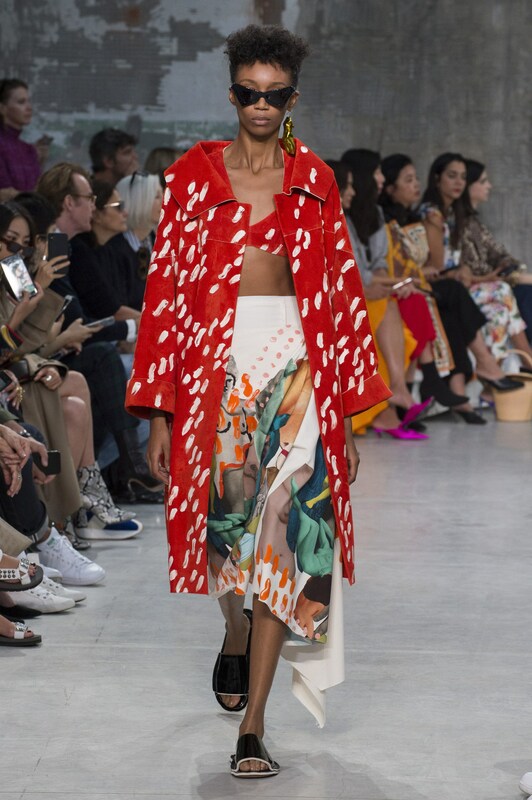 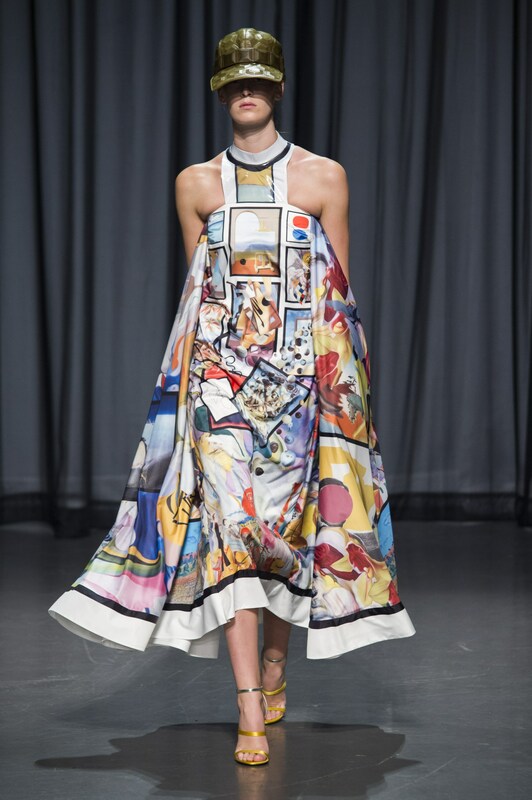 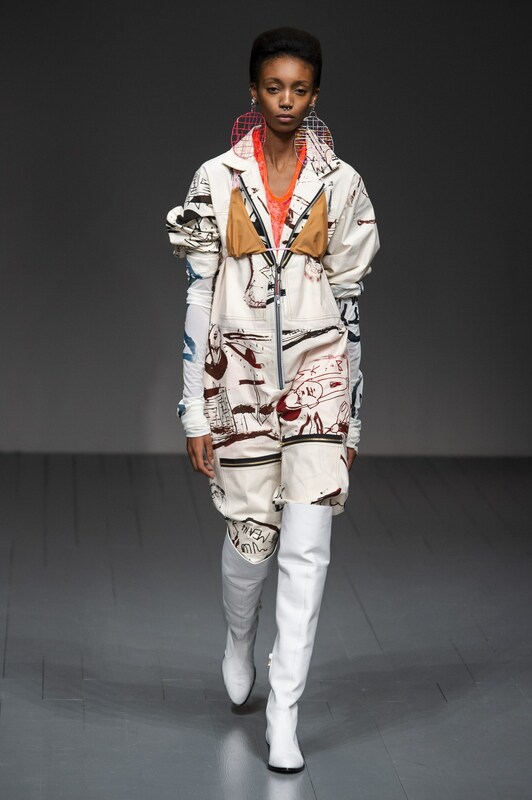 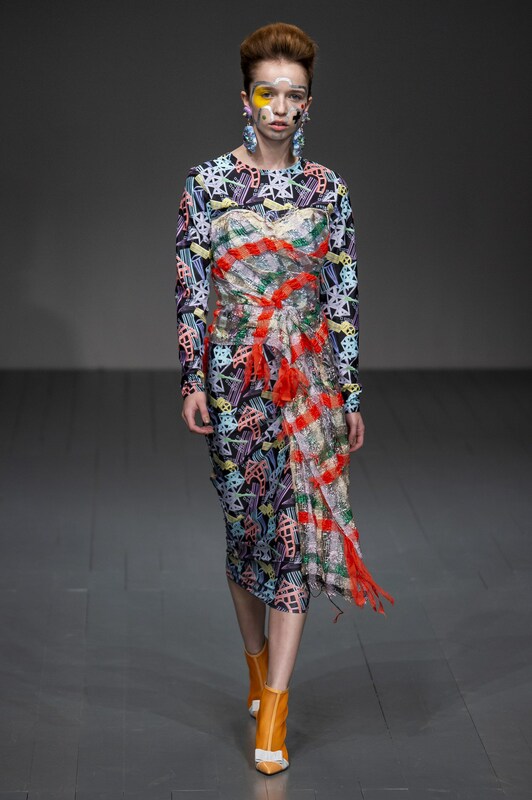 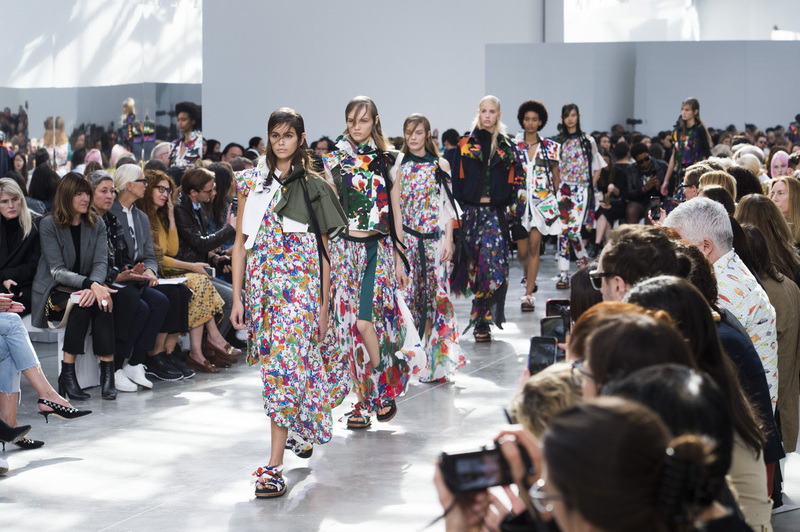 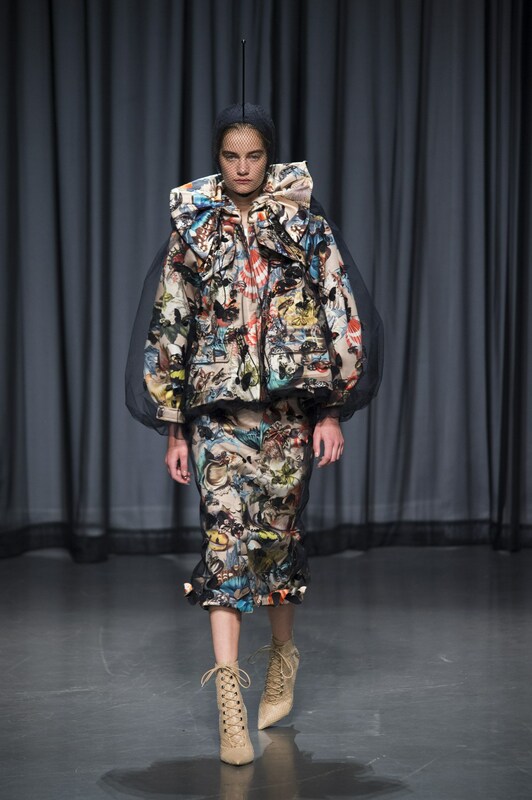 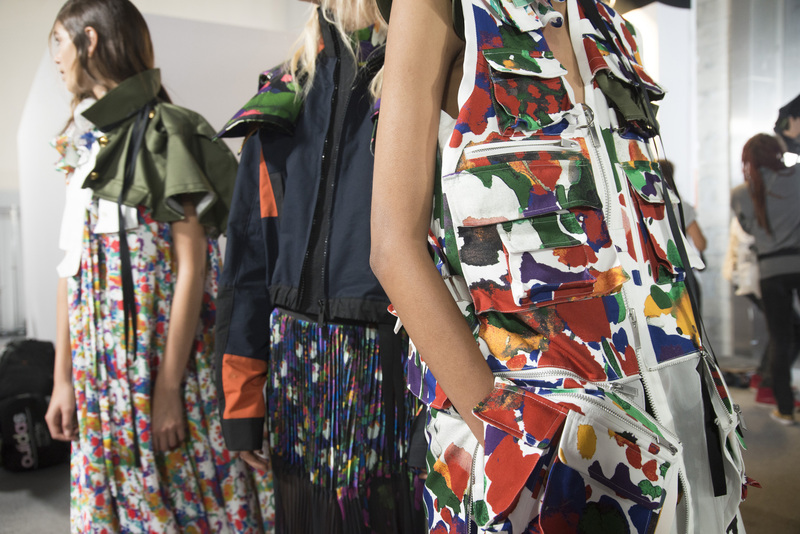 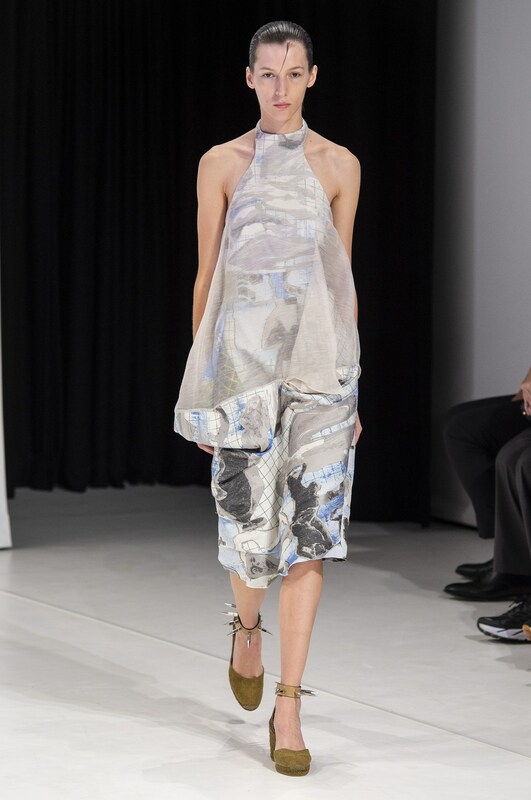 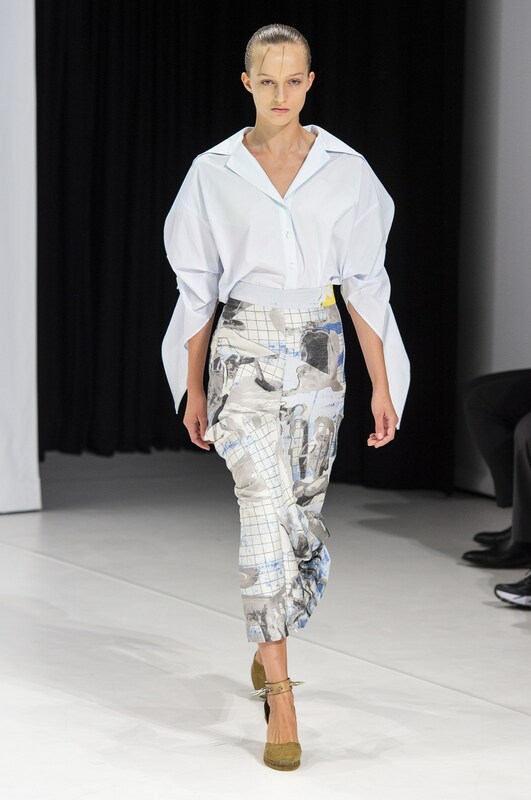 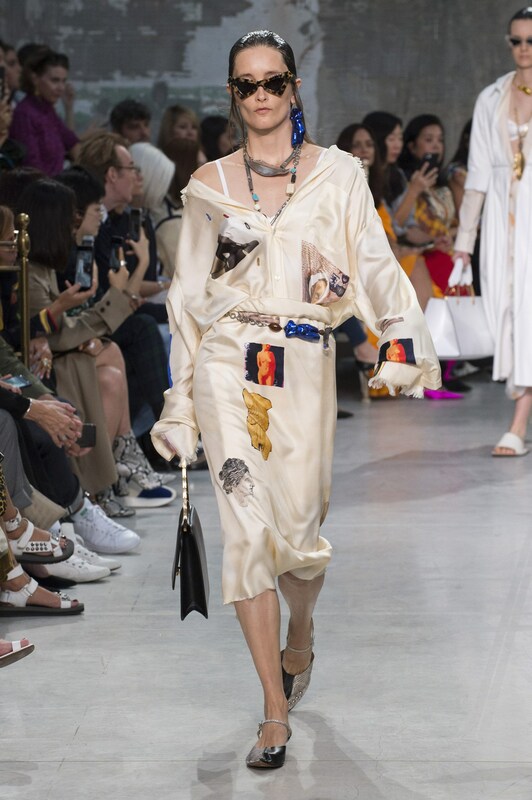 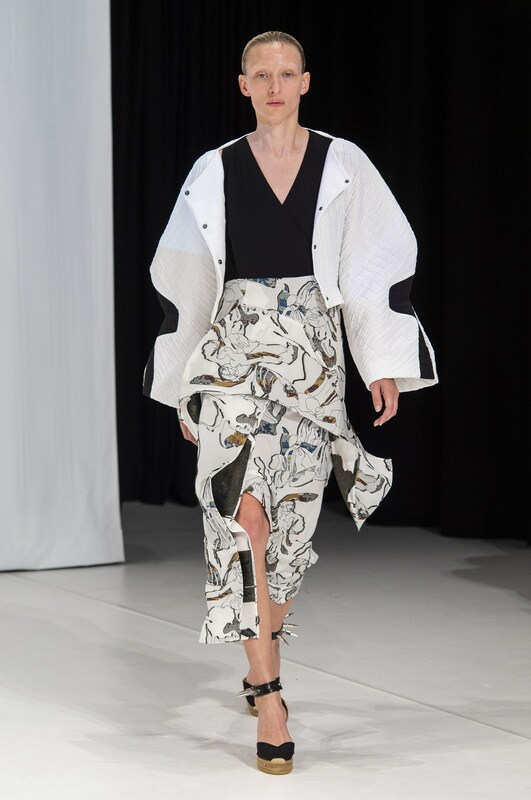 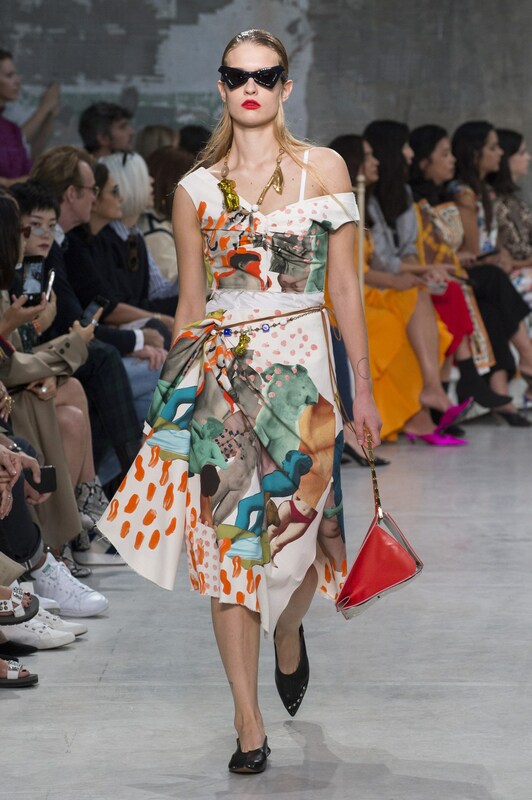 Marni’s collection collaged surrealism with dadaism in unexpected ways blending them with frayed edges on printed silks while Sarah Burton at Alexander McQueen created her own version of abstracts by marrying florals with digital creations. 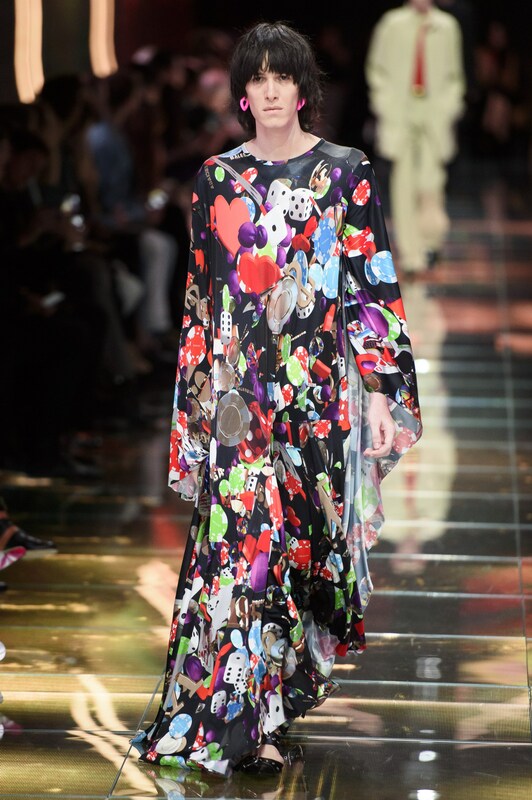 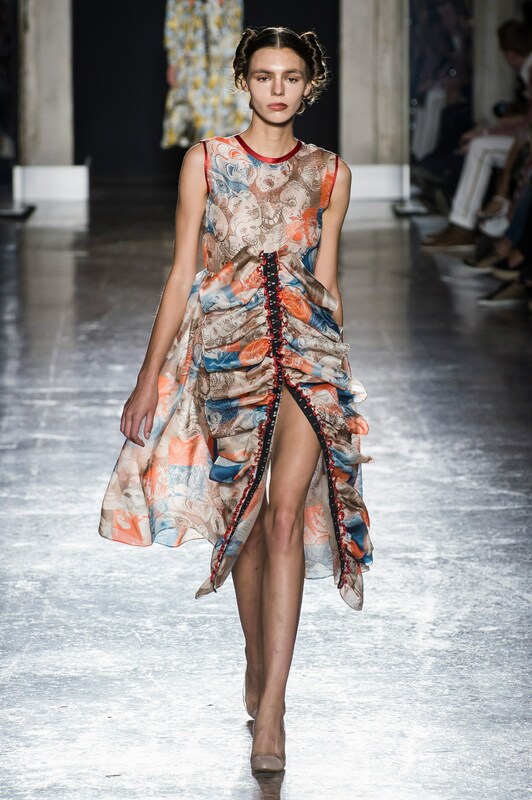 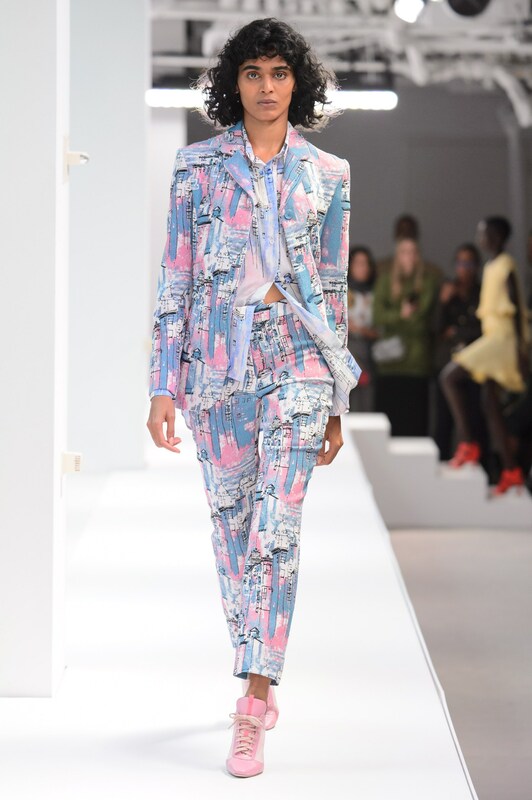 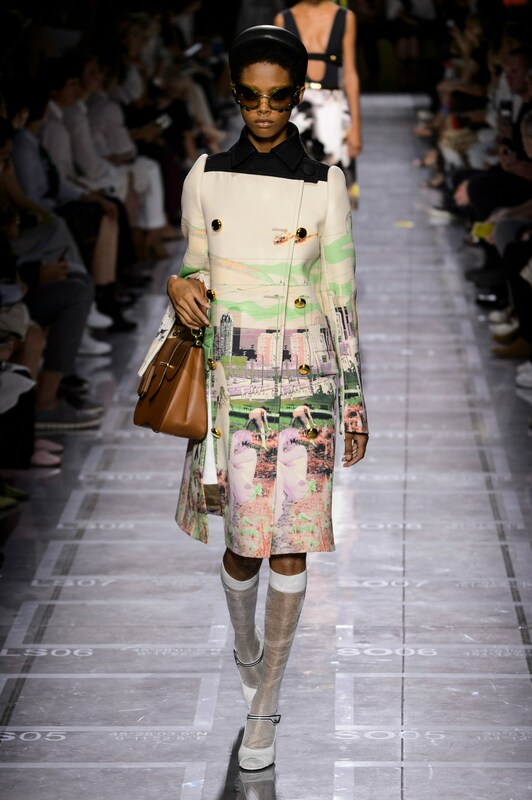 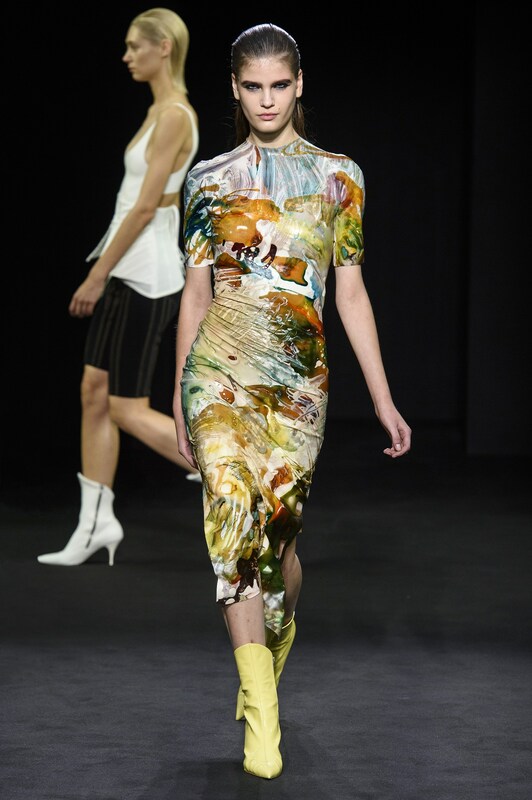 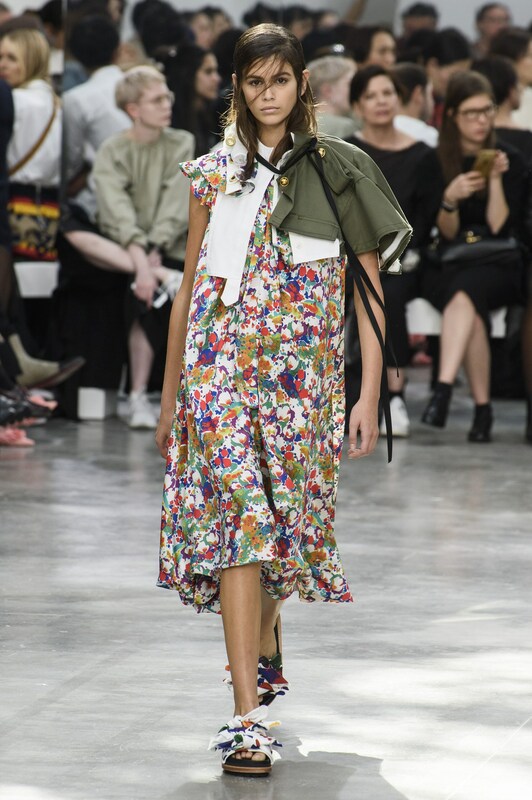 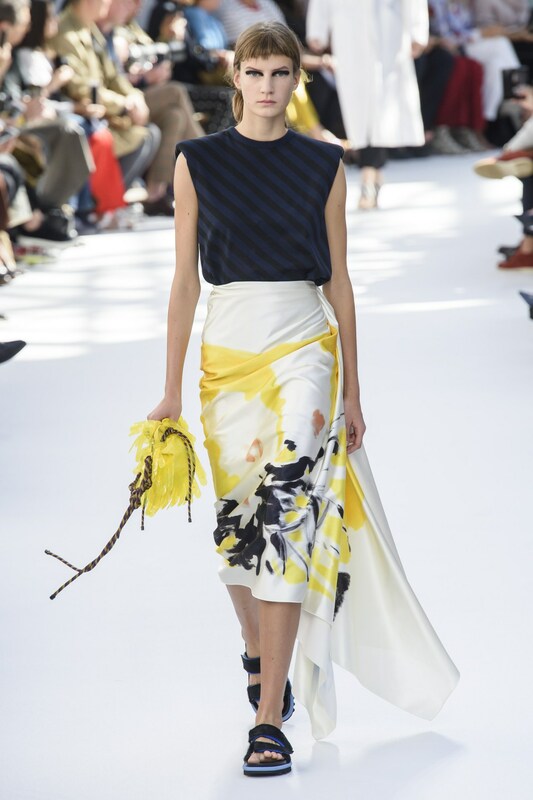 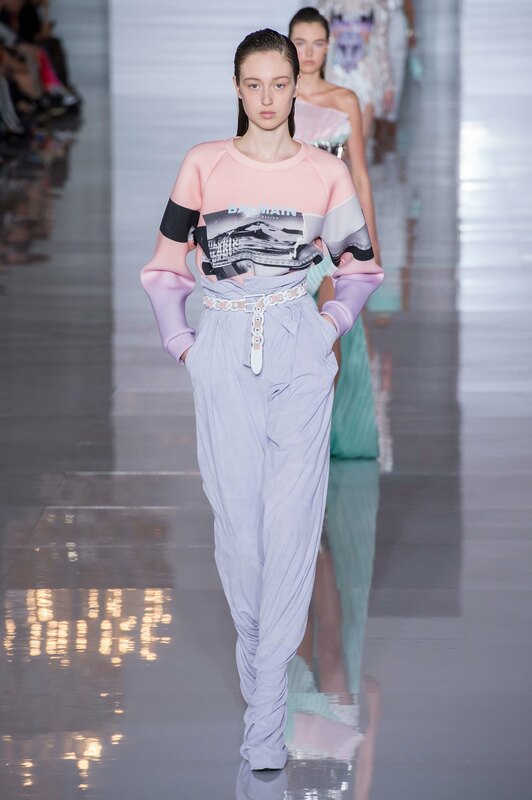 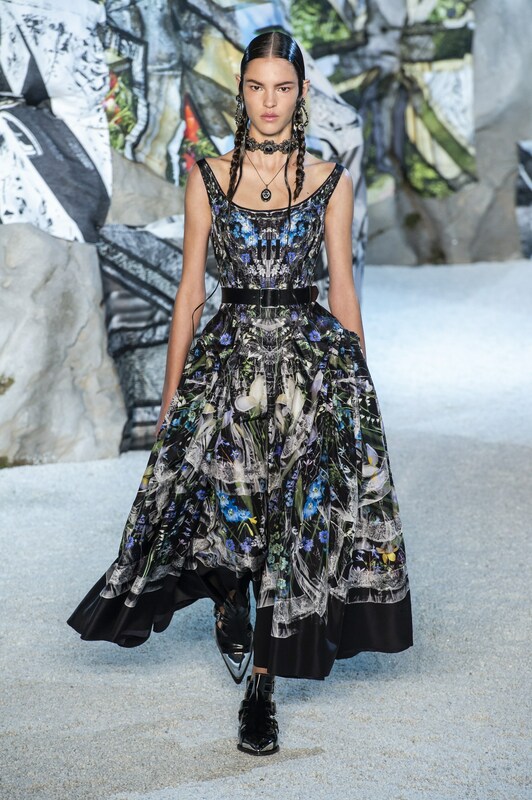 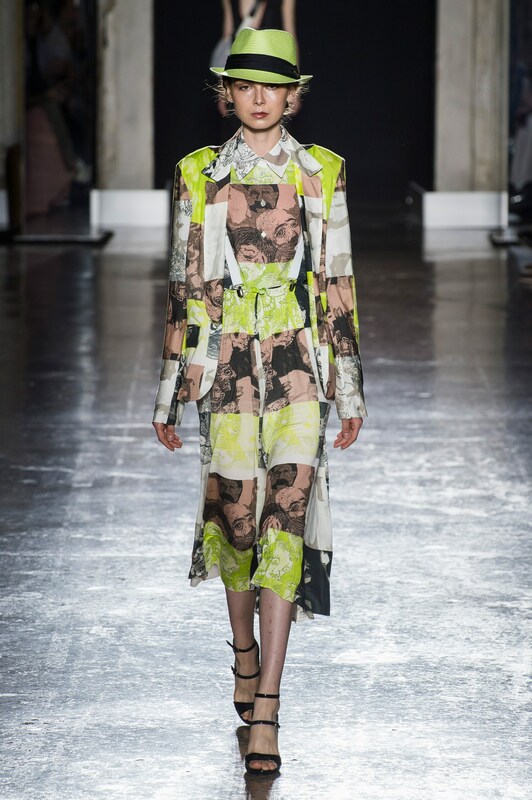 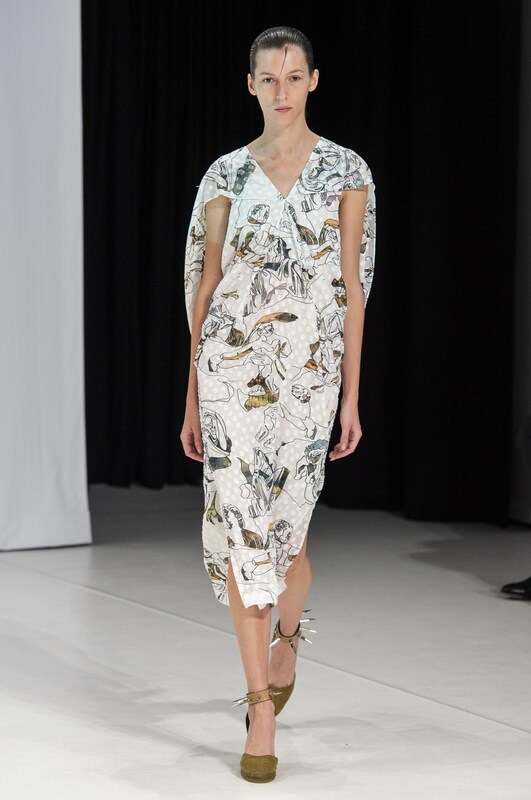 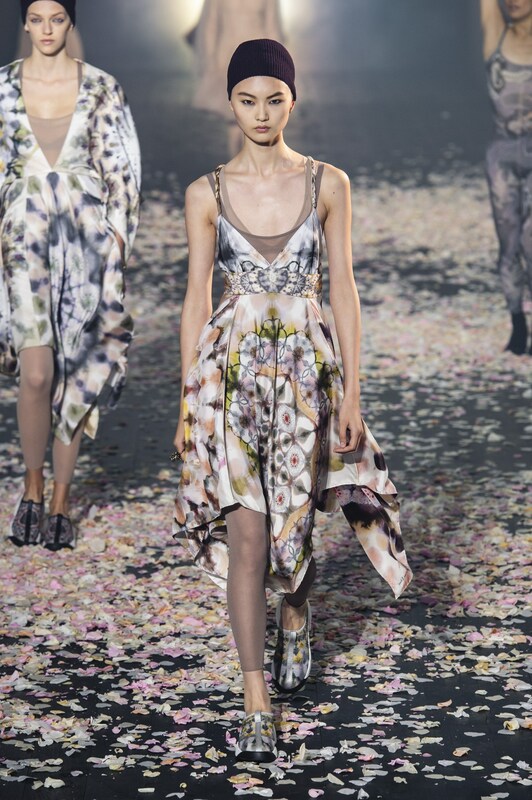 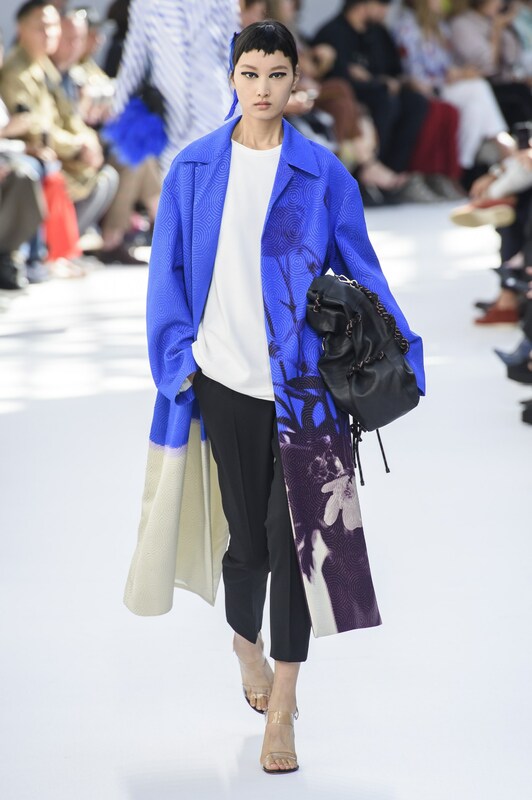 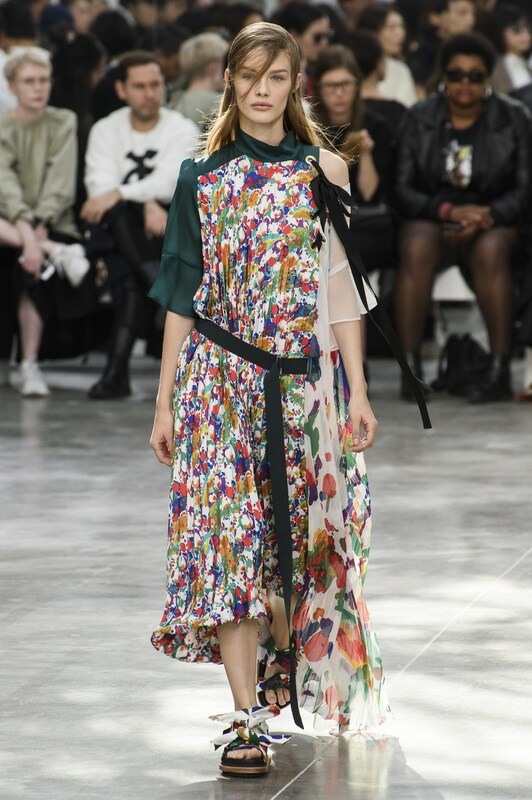 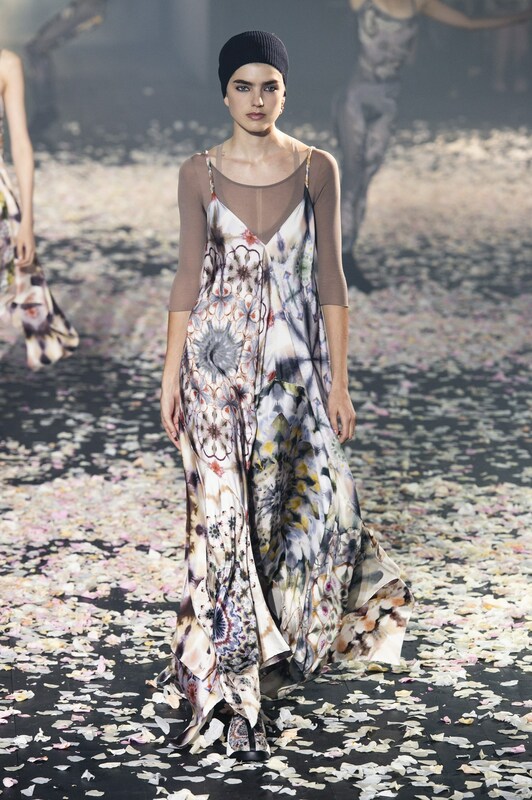 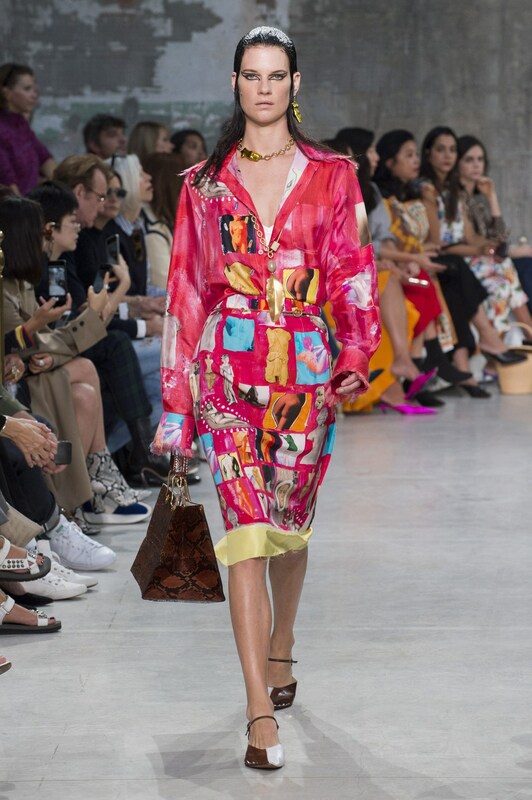 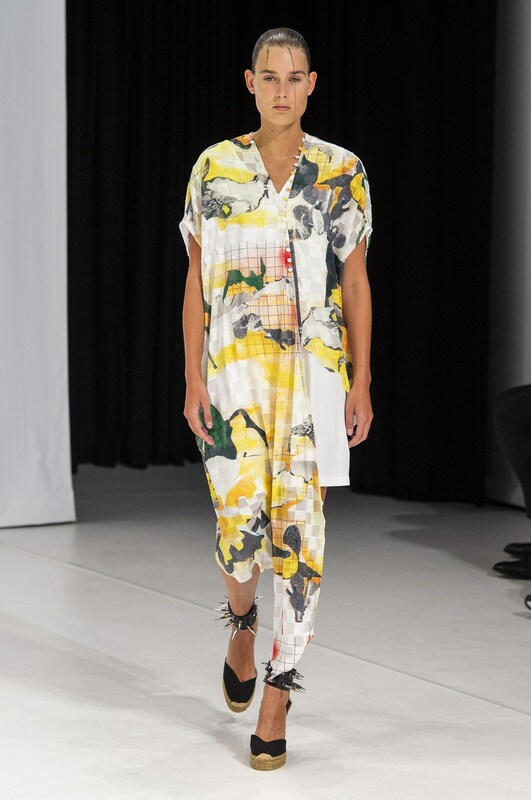 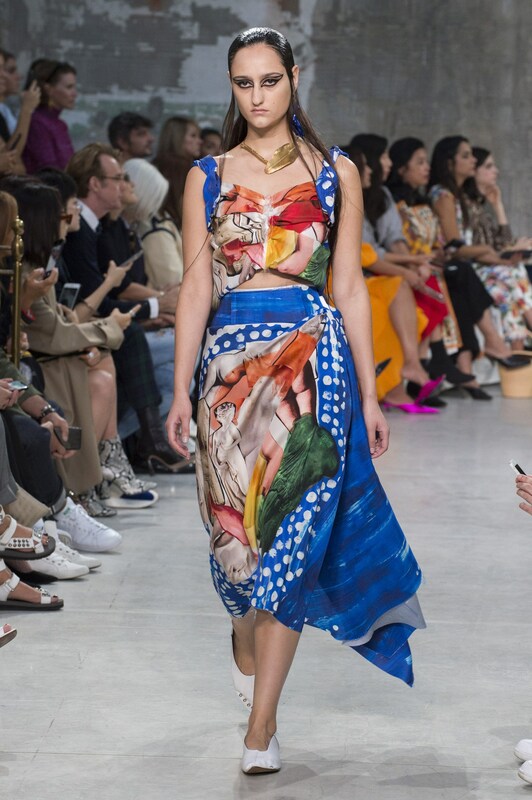 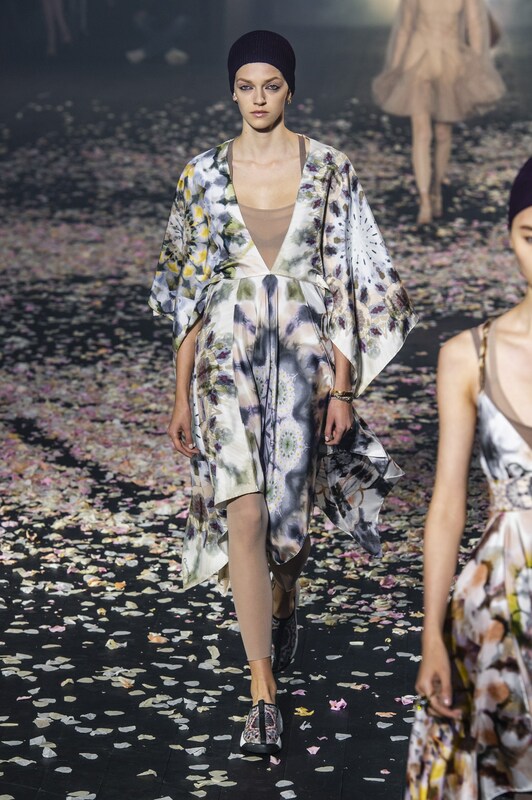 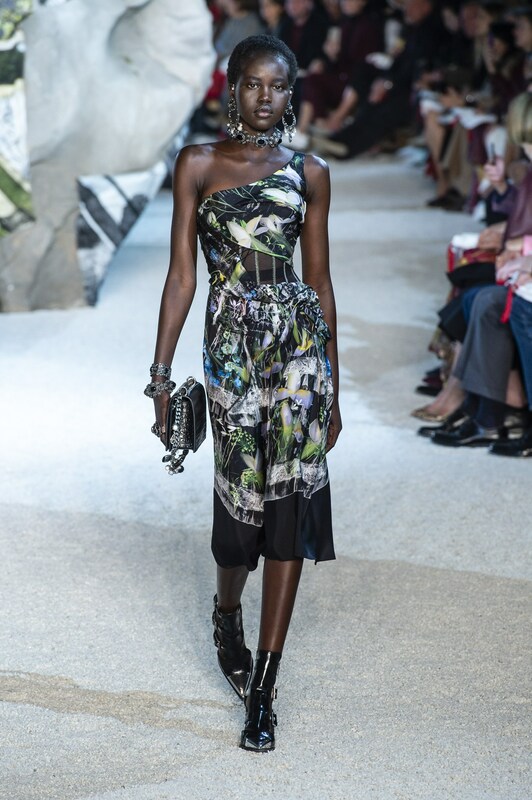 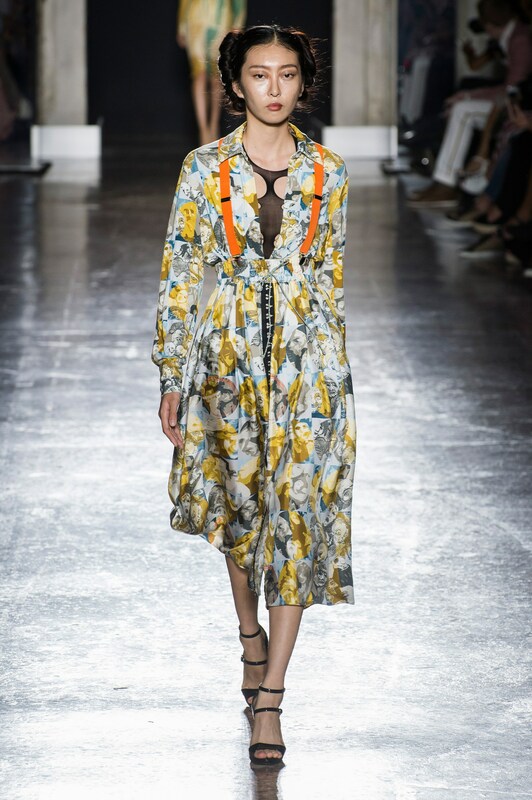 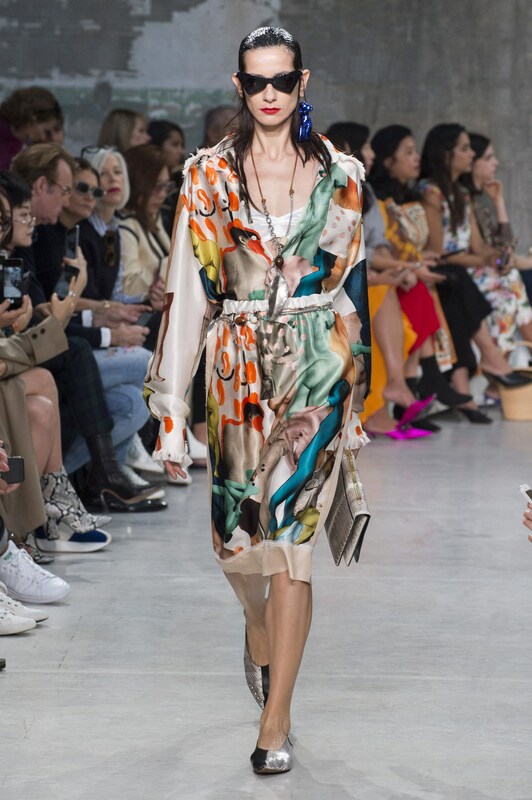 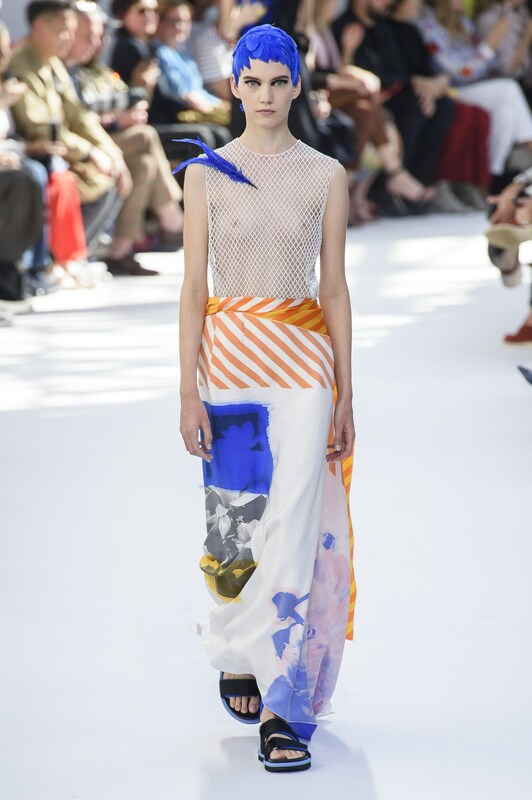 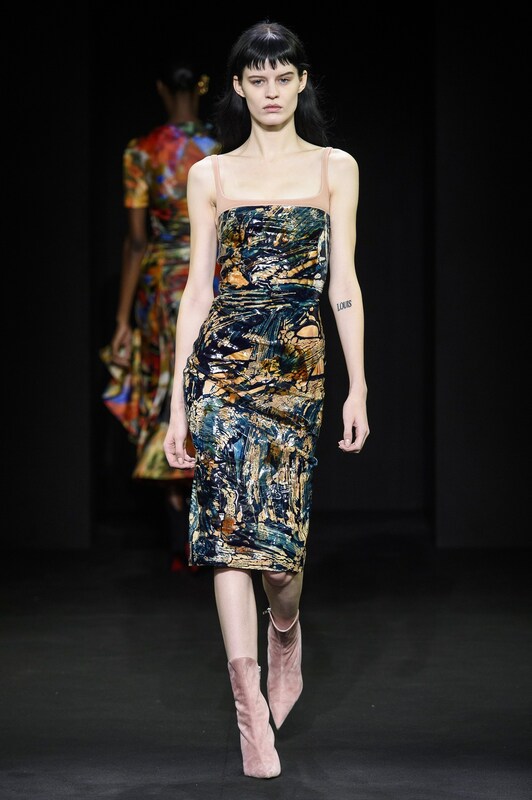 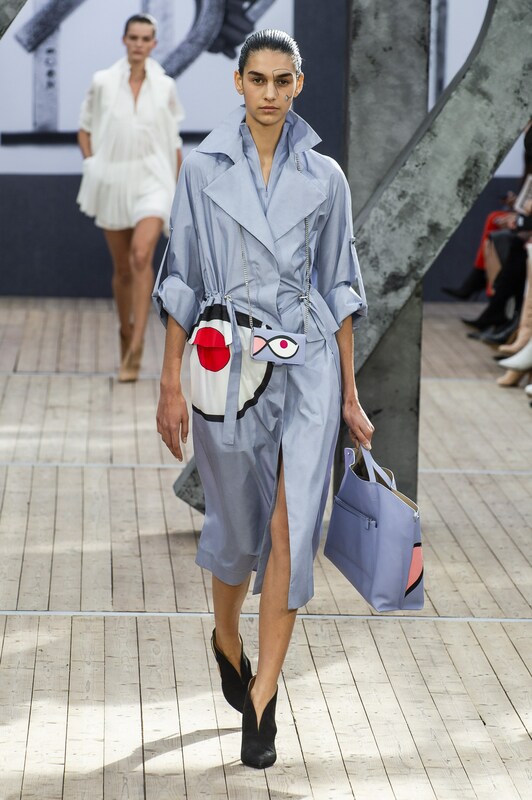 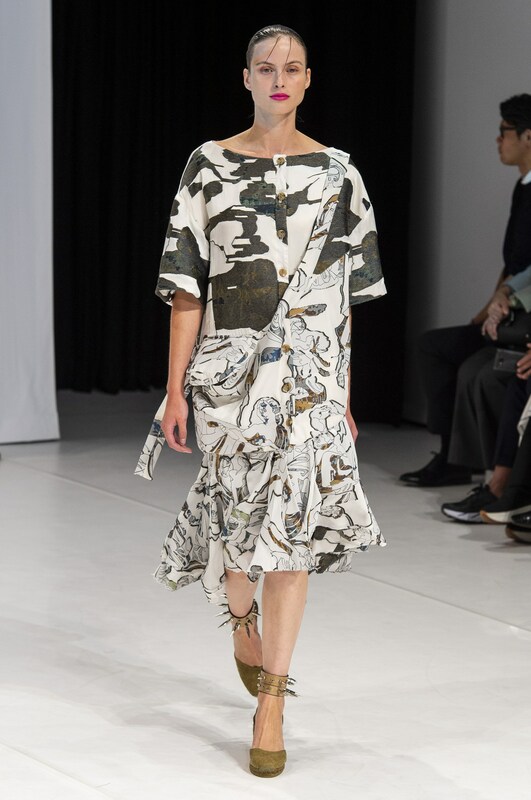 Florals continued to play the base note to a number of abstract prints this season like Maria Grazia Chiuri’s at Christian Dior; florals merged with tie-dye. 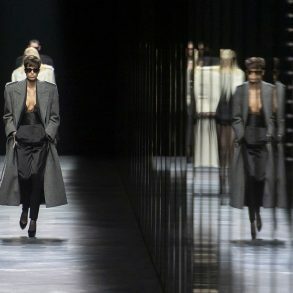 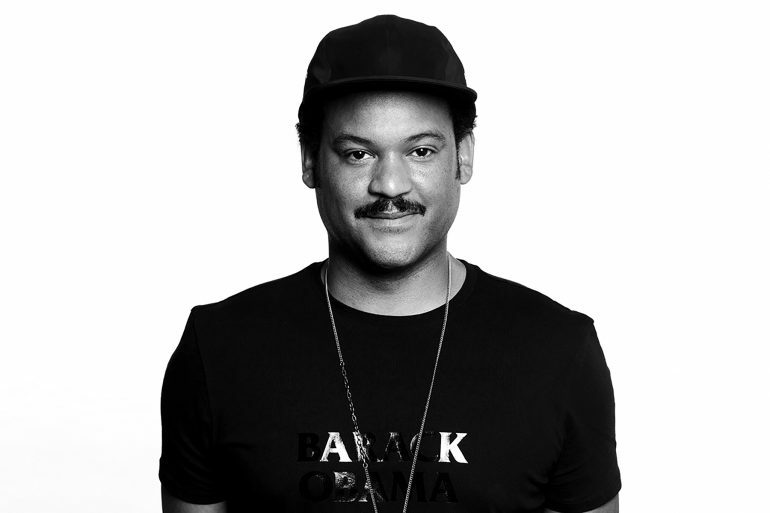 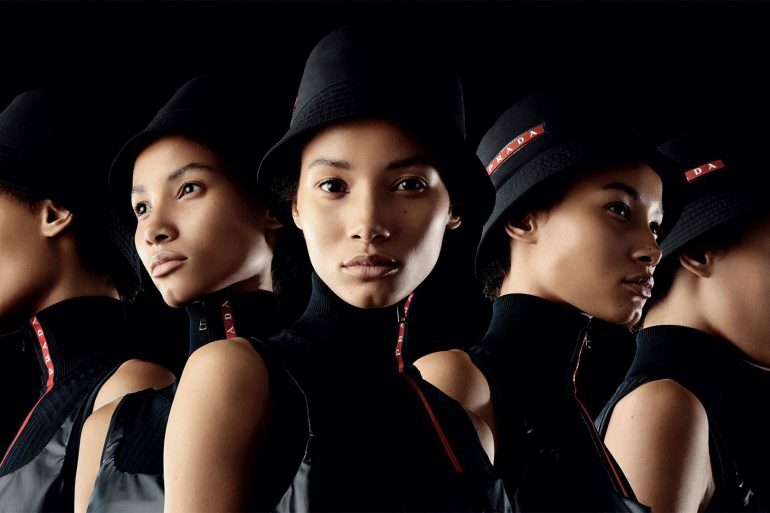 A similar tune was played by Miuccia Prada but in bright acidic tones. 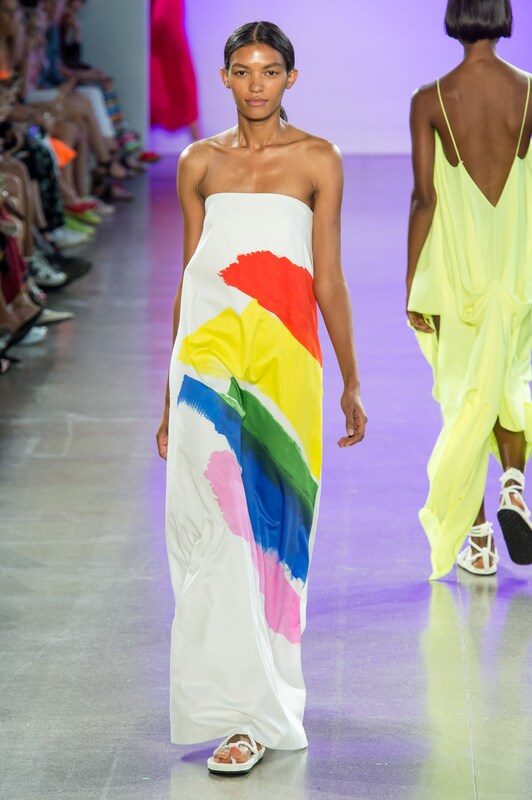 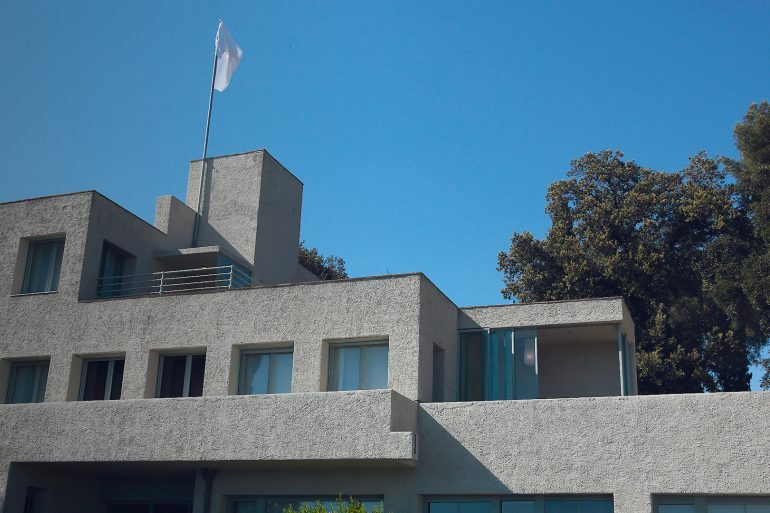 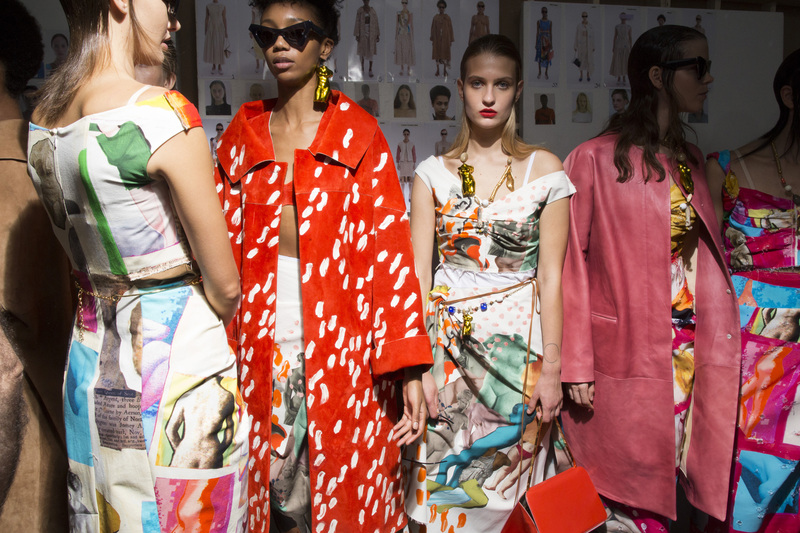 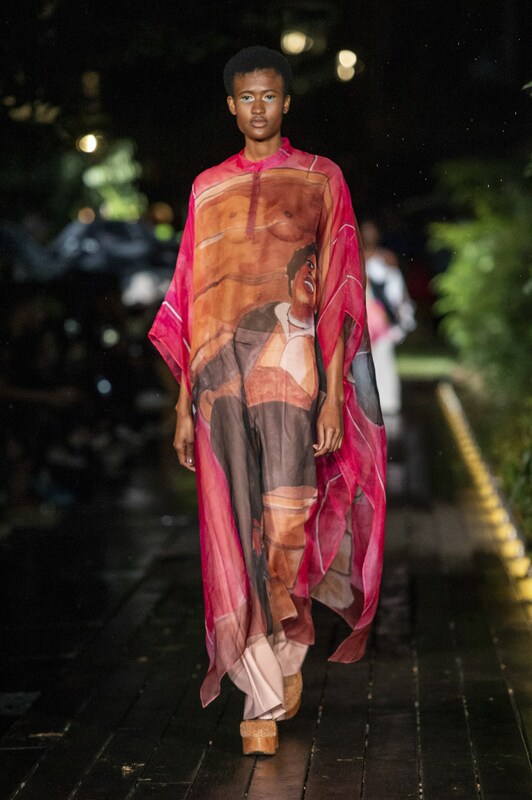 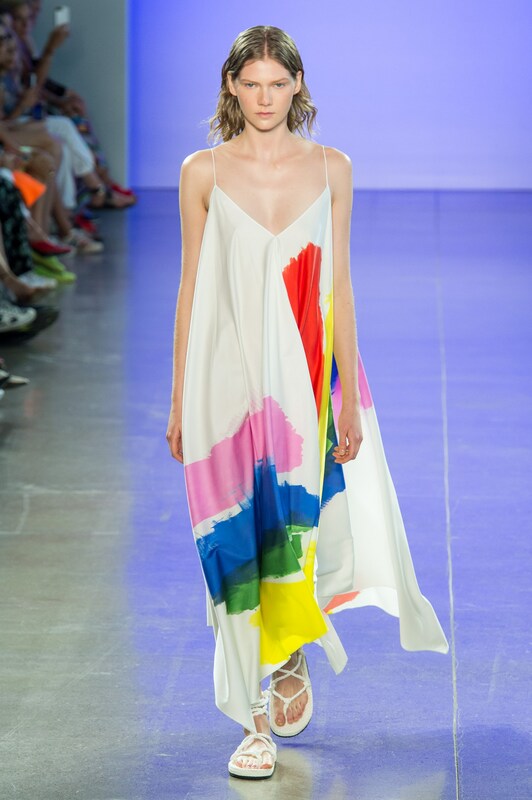 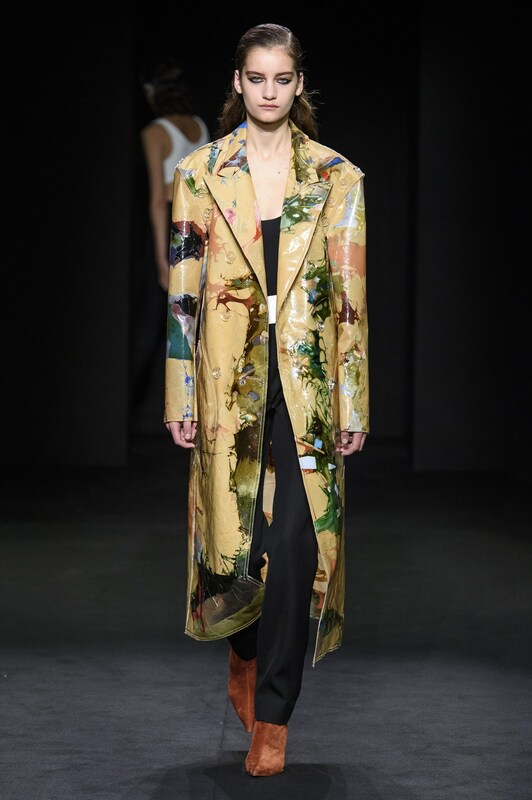 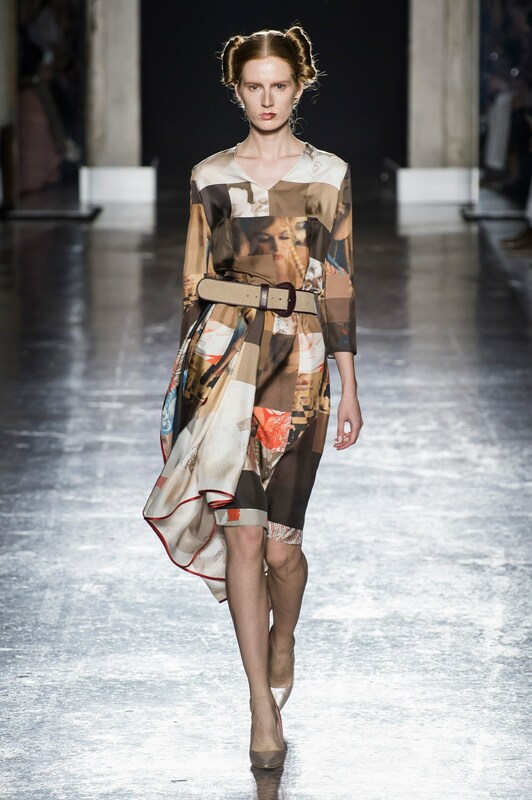 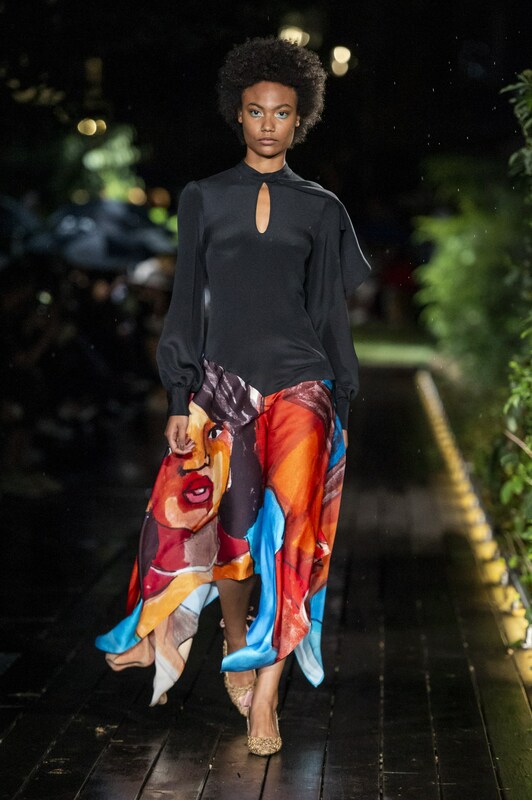 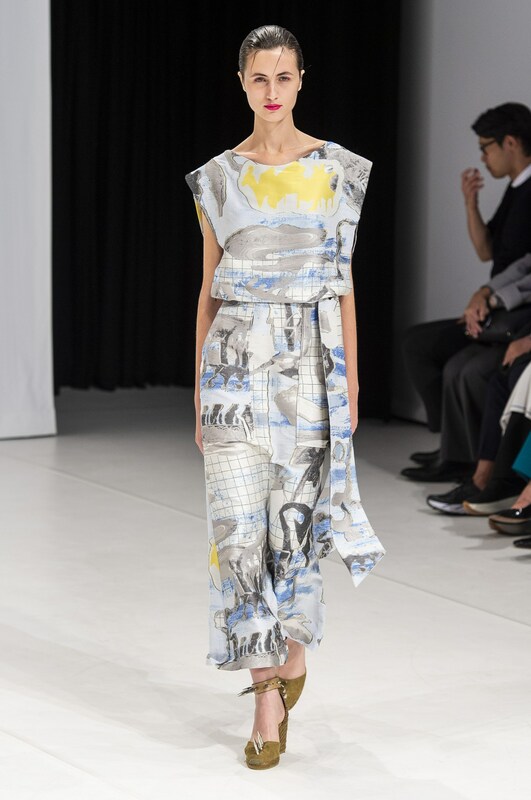 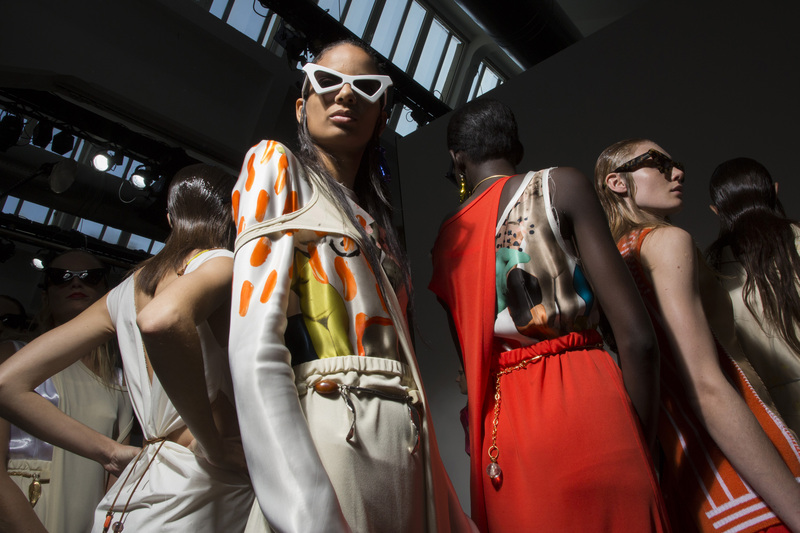 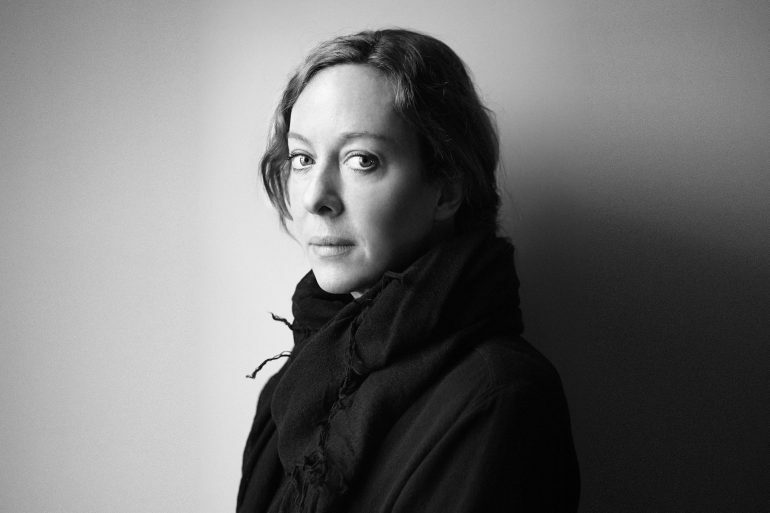 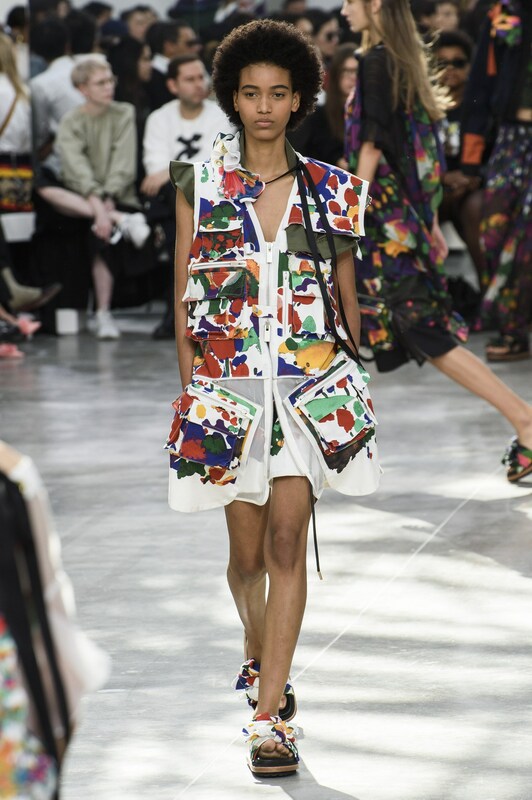 A number of designers worked with broad, colorful, oversized brush strokes on neutral colored silks such as Dries Van Noten’s primary colored prints and Michelle Smith’s Milly dresses in rainbow hues. 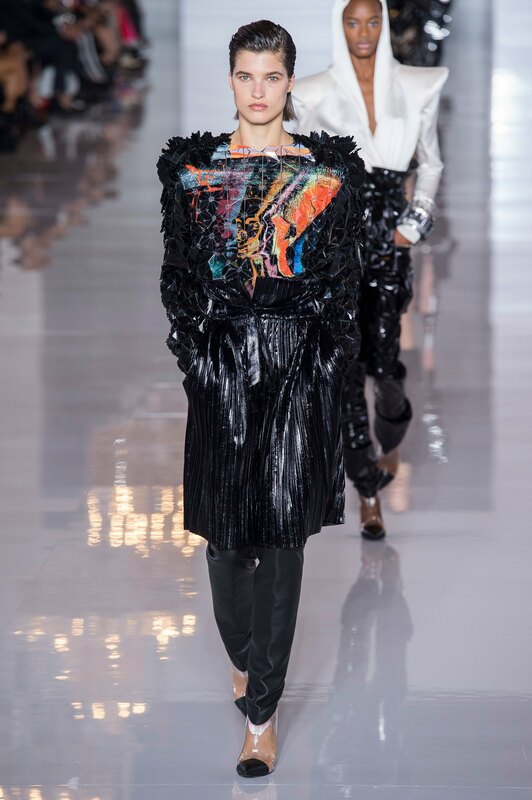 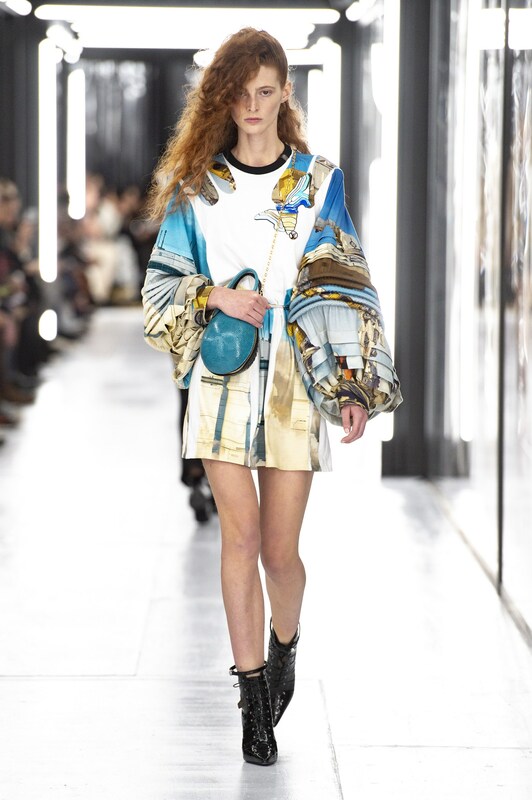 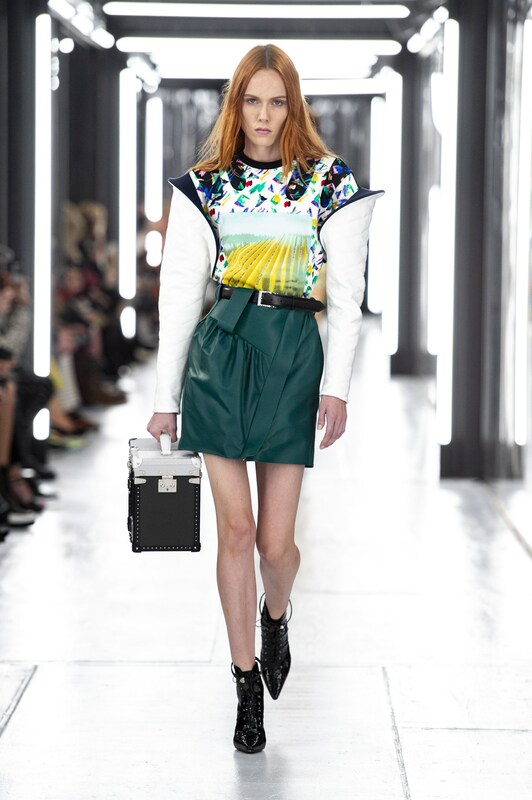 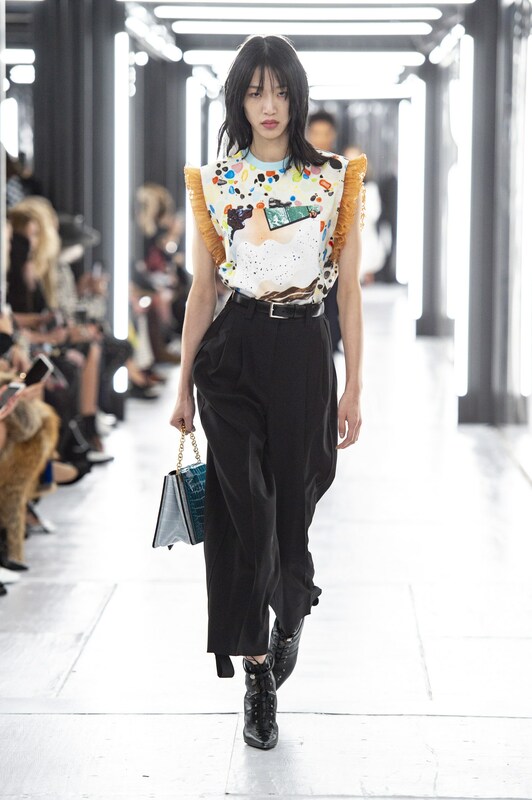 Nicolas Ghesquière at Louis Vuitton went back to the future blending 80’s coloring with digital geometrics that were part Duran Duran, part Van Gogh, and all Tron. 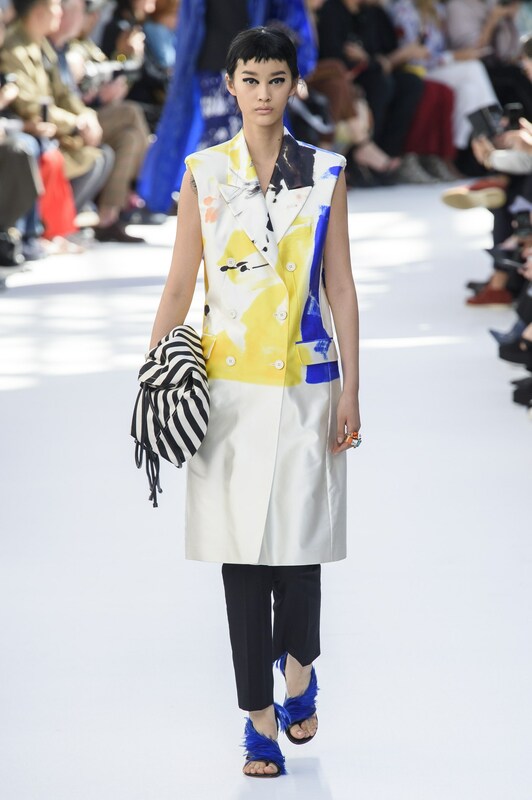 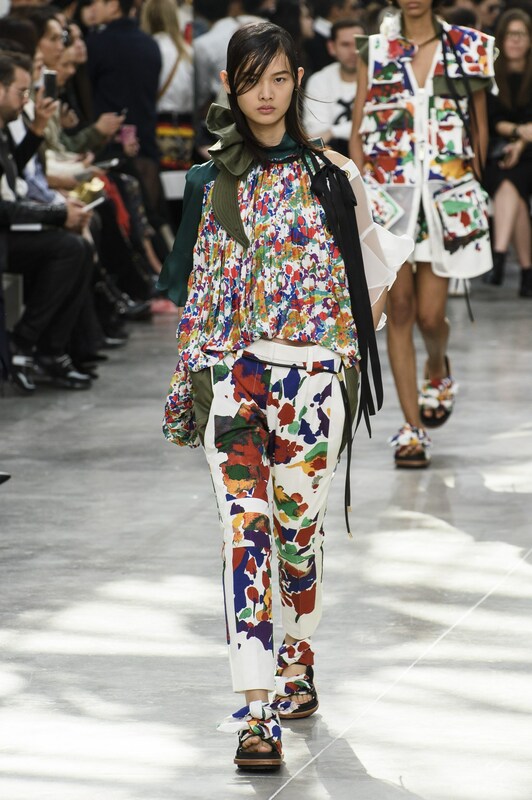 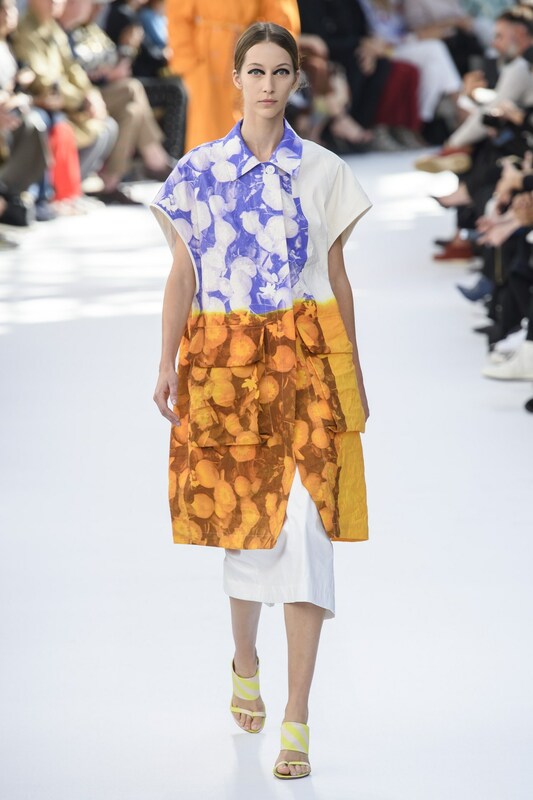 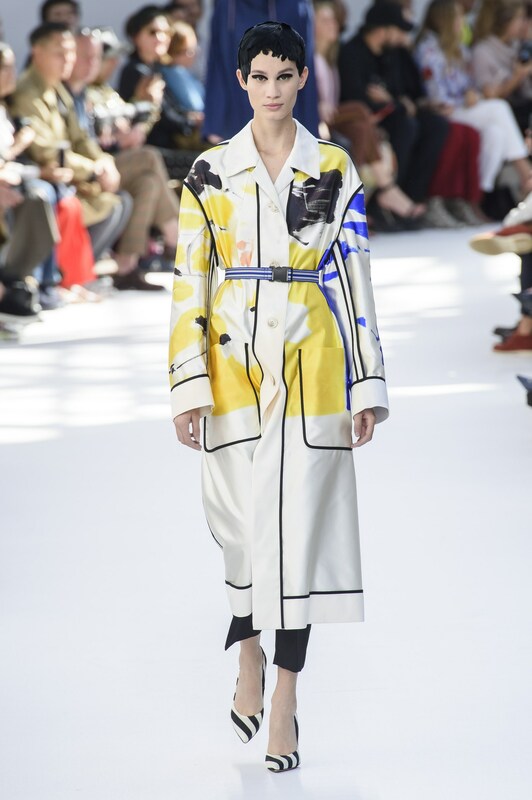 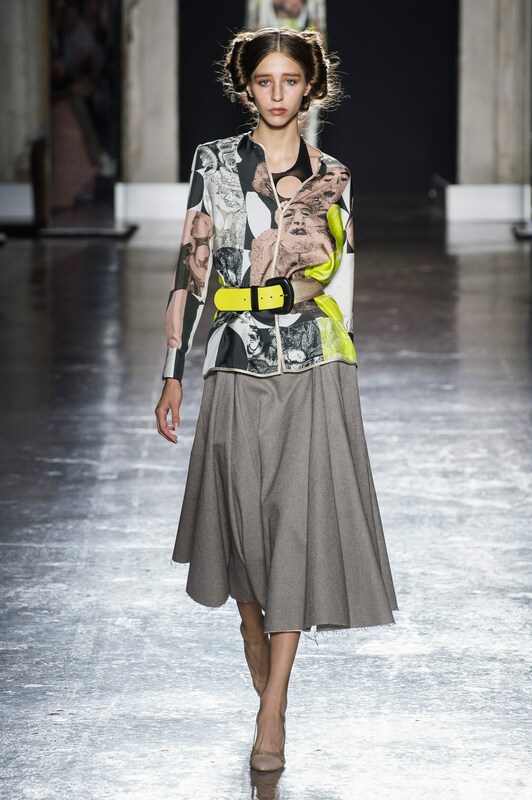 Chitose Abe at Sacai closed her show with elevated and simplified versions of color blotched prints that look as if Jackson Pollock had restrained himself and left his canvases done at 20% to go have a drink. 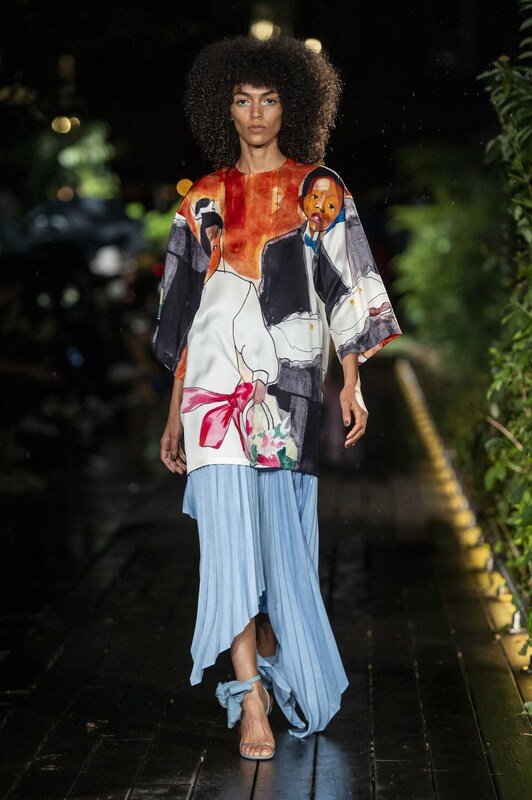 Overall the collection reminded us that in times of strife, art still finds a way to inspire dreams, and colorful ones at that. 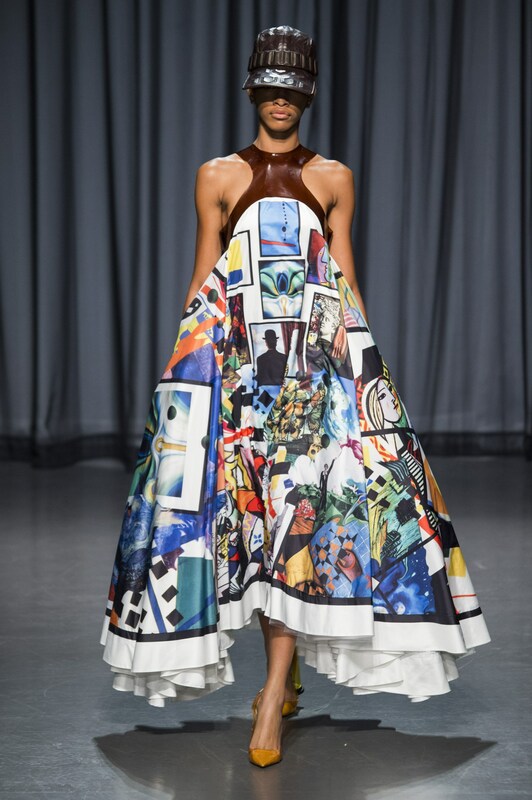 Here is to hoping a little bit of art finds its way into everyones closets this season.